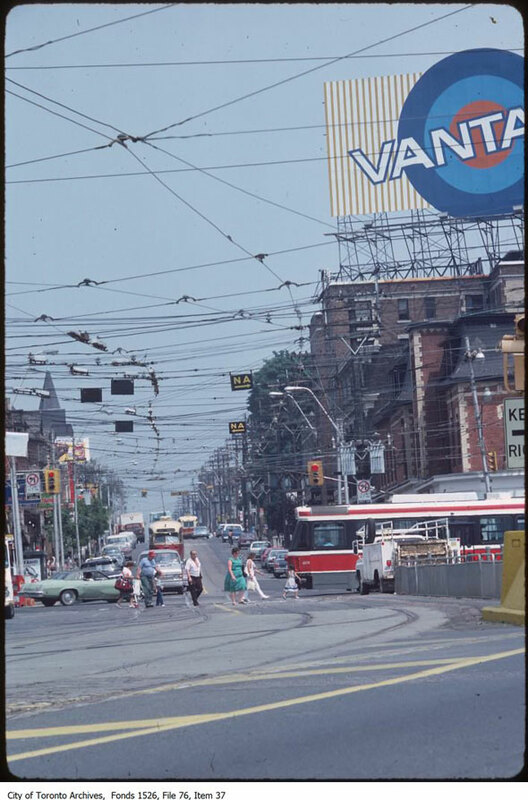 Below, the intersection of Roncesvalles and Queen looking east circa 1971. 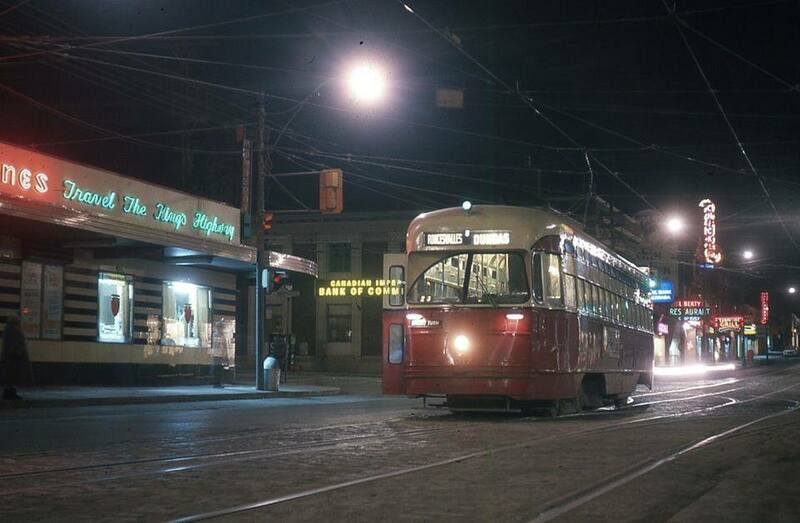 This photo came from the Vintage Toronto Facebook page. 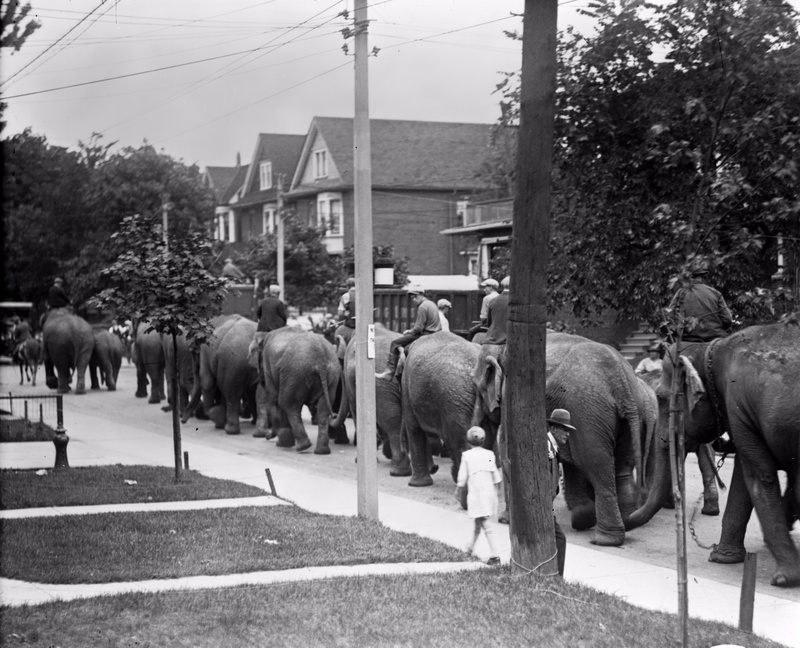 Here is a picture of my father circa 1937 taken outside his home on Harvard Ave in Parkdale. 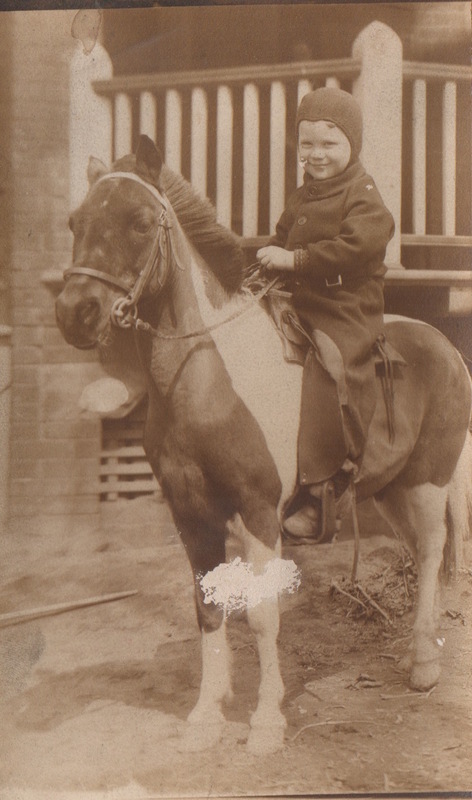 My grandparents did not own a pony. A man with the pony would travel around the city offering to take a photo for a small fee. 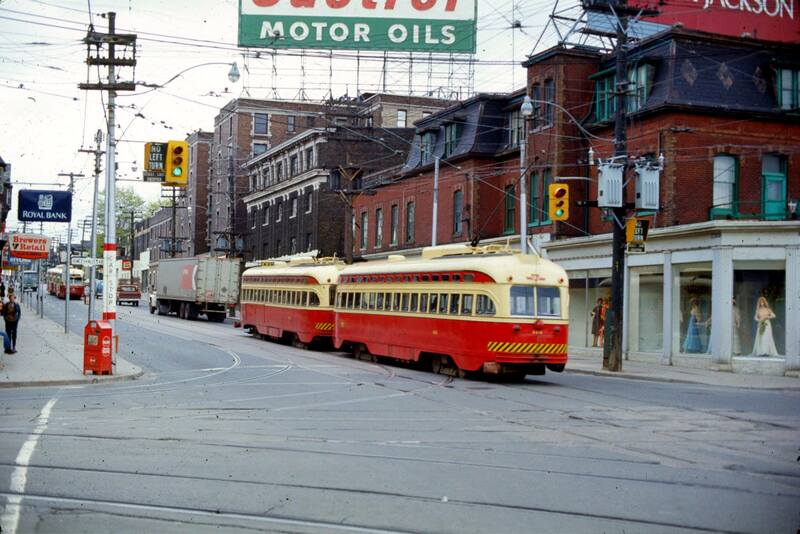 Looking east along as a TTC street car heads south down Roncesvalles circa 1964. 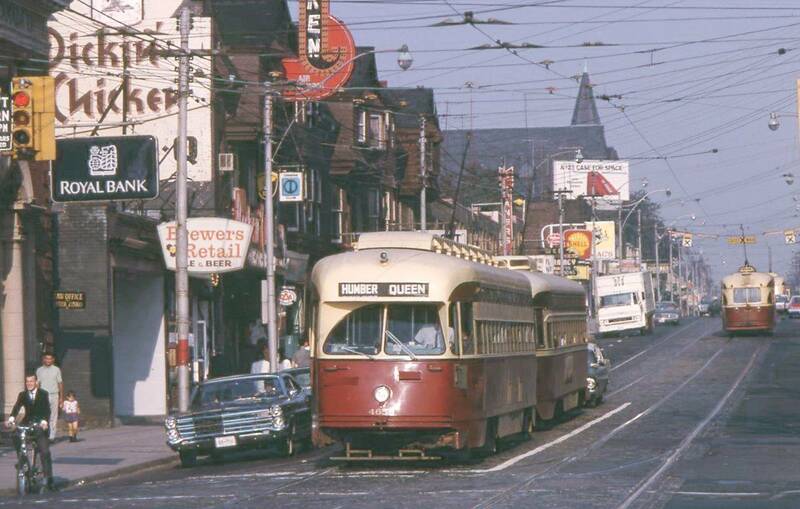 Note the Sunnyside Bowling Alley. The now photo is not quite right. 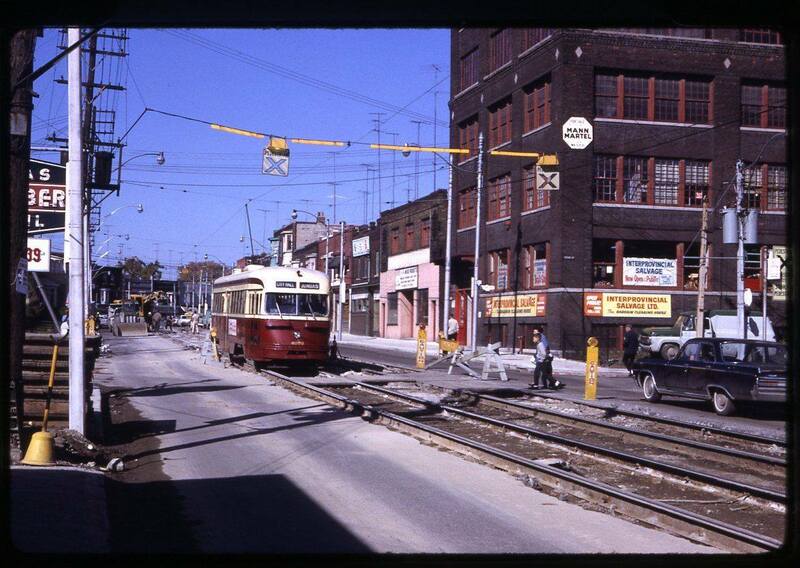 A couple of shots from the early/mid 1960’s. 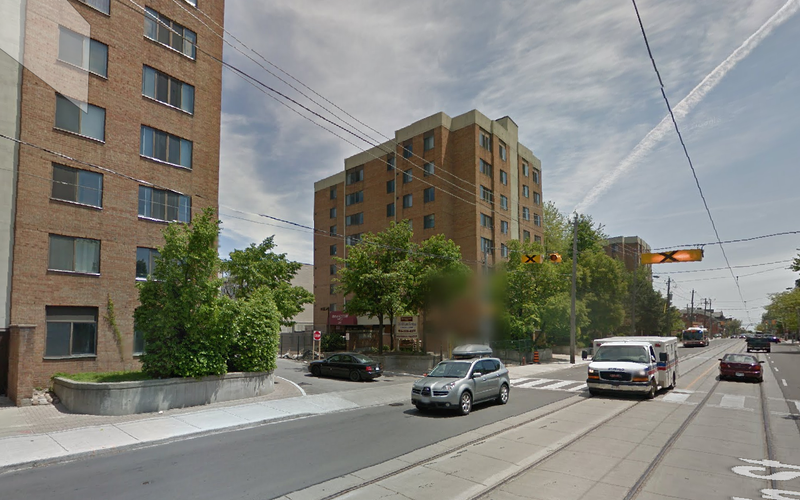 My father sent me an interesting piece in the National Post about an unclaimed plot of land in Parkdale. Click on the photo for a link. 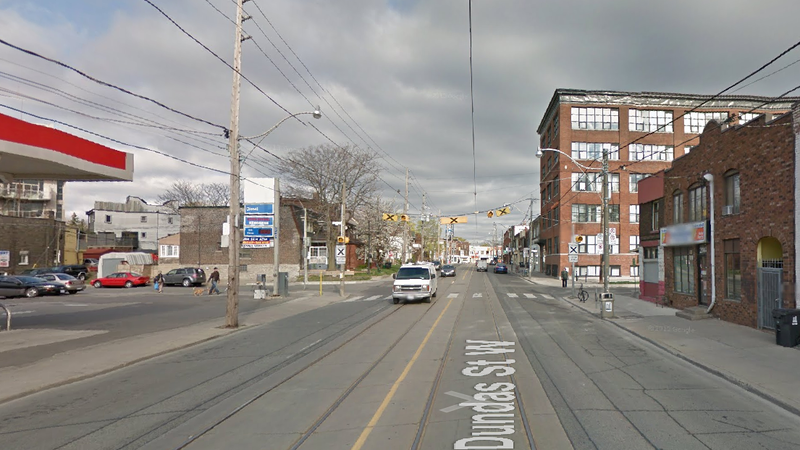 The area in question below. The red square. 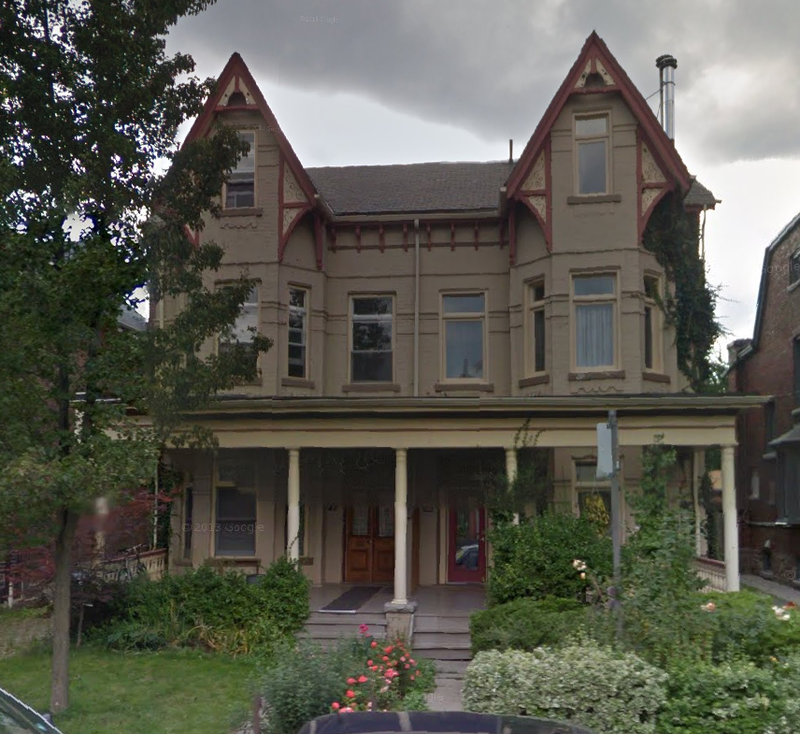 This house, part of St. Joeseph’s Hospital is the original Sunnyside Villa built by John Howard in 1853 which he named Sunnyside. 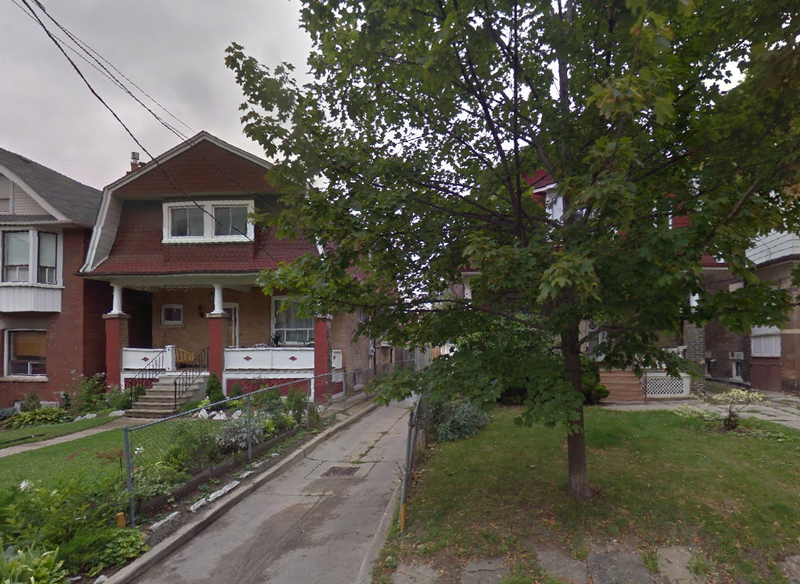 Howard never lived in this house but built it on spec and sold it to an American, George Cheney. 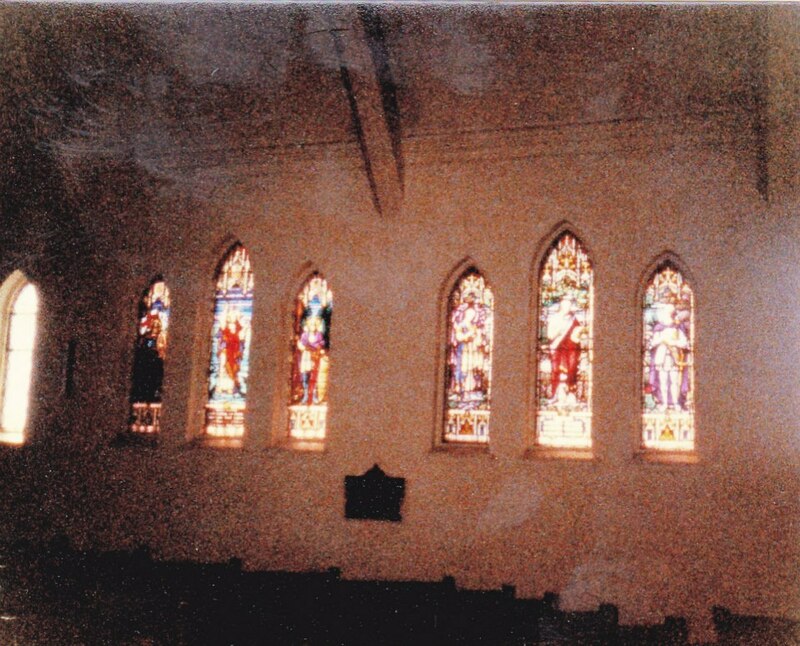 The house became part of St. Joe’s in 1876 when it was an orphanage. 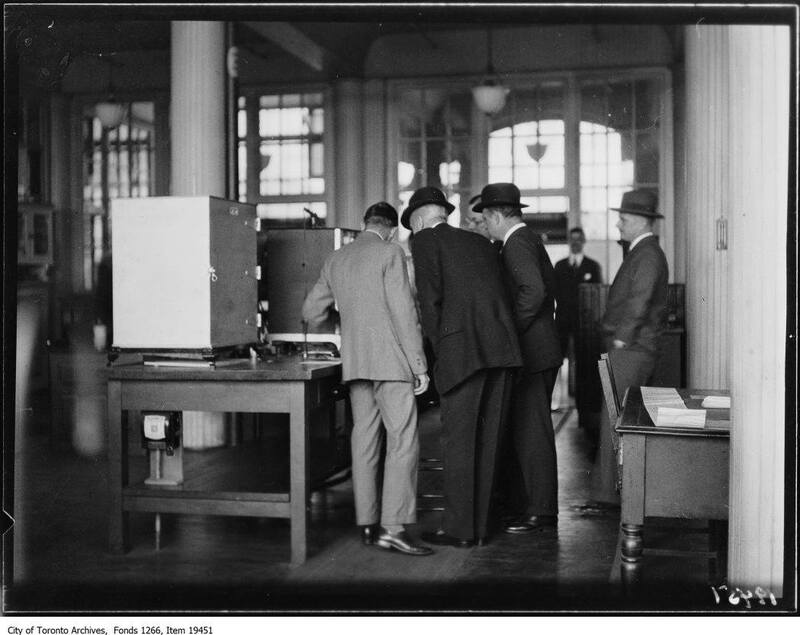 A surveyor and architect who is woven into much of Toronto’s 19th century history is John George Howard. 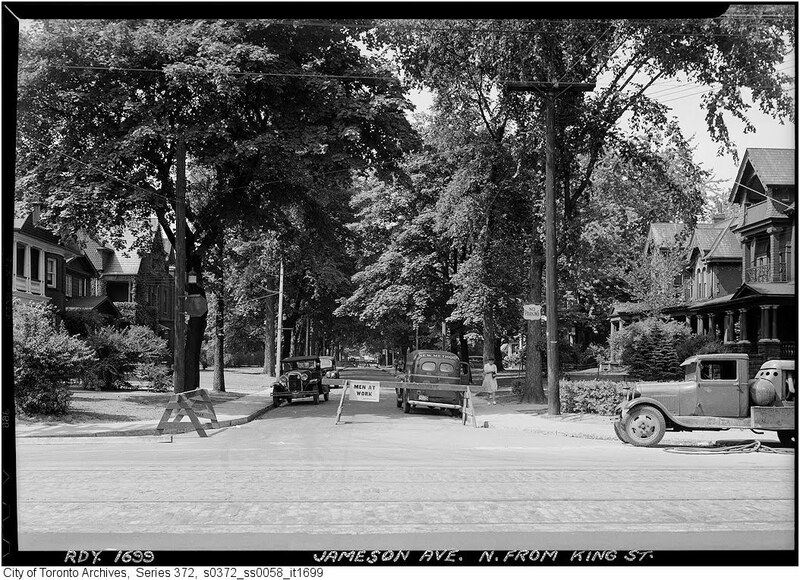 He had built himself a home, Colborne Lodge, in what is now High Park, and continued to look around at other properties. 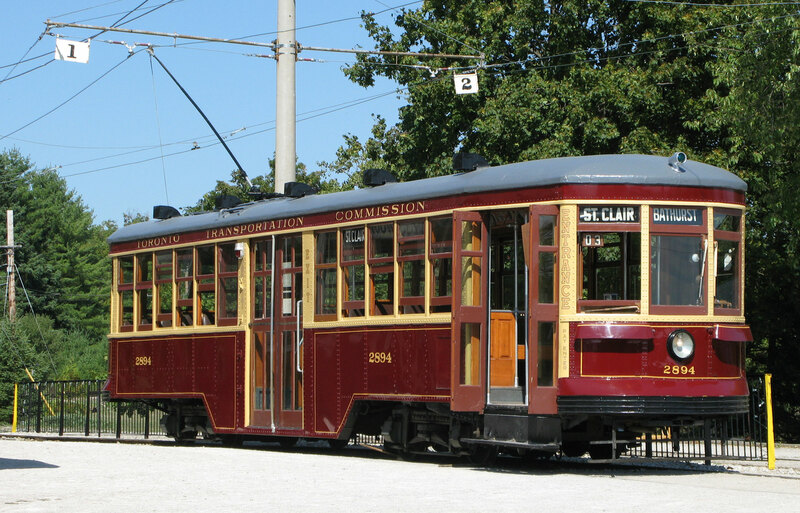 In 1844, he and one partner purchased Park Lot 25, consisting of 100 acres. 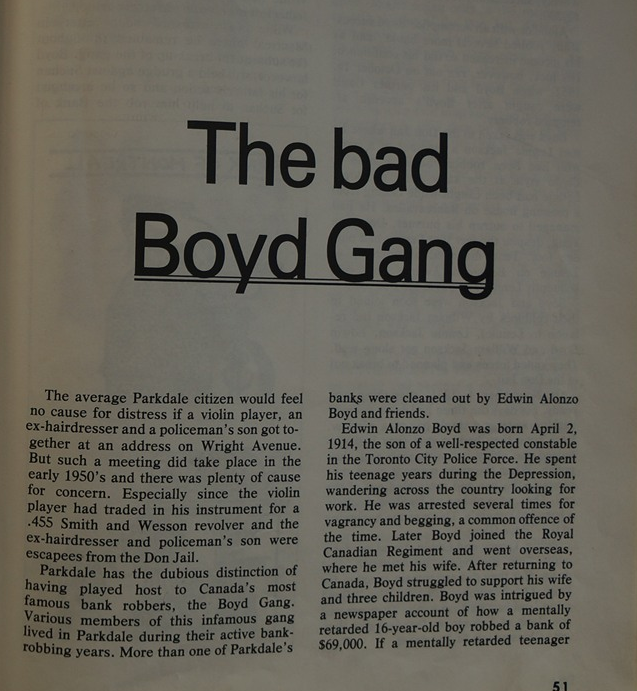 Four years later he was sole owner and decided to build a house near the lake, which he named Sunny-side. 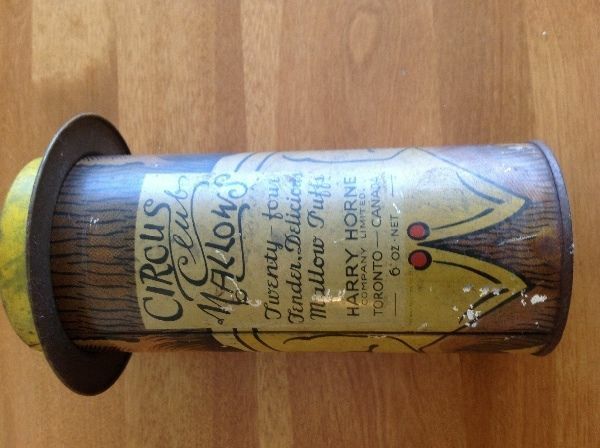 This is the name used later to define an amusement park and, even later, to define a host of small business enterprises. Howard intended the building as an attraction among the many building lots he laid out on the Park Lot, and called the house a “marine villa” as it looked out to the lake. From the house, he watched a famous ship founder in a storm and engaged in the rescue of its crew, but he did not live in the house. Howard was also selling off timber cut from his land. 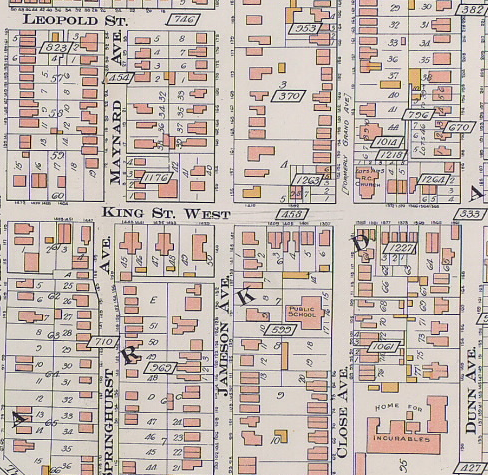 Eventually, all of the building lots were sold and by this time the area was known as Sunnyside. 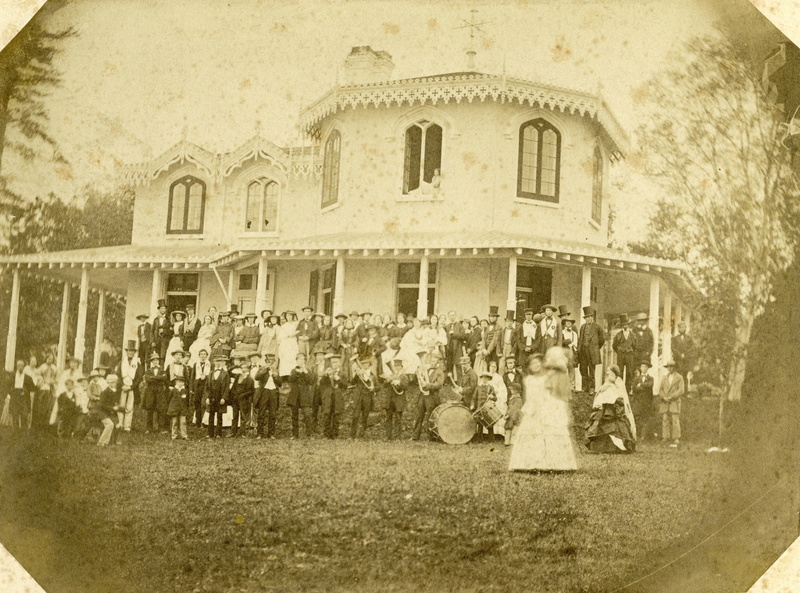 The last sale made by Howard was of the house and the 9-acre lot on which it stood. 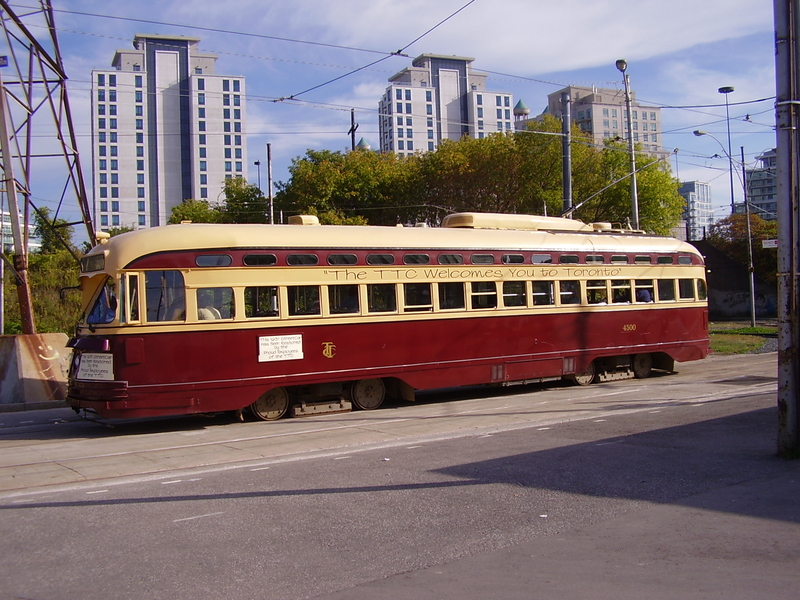 George Cheney purchased it and converted it into a picnic area. 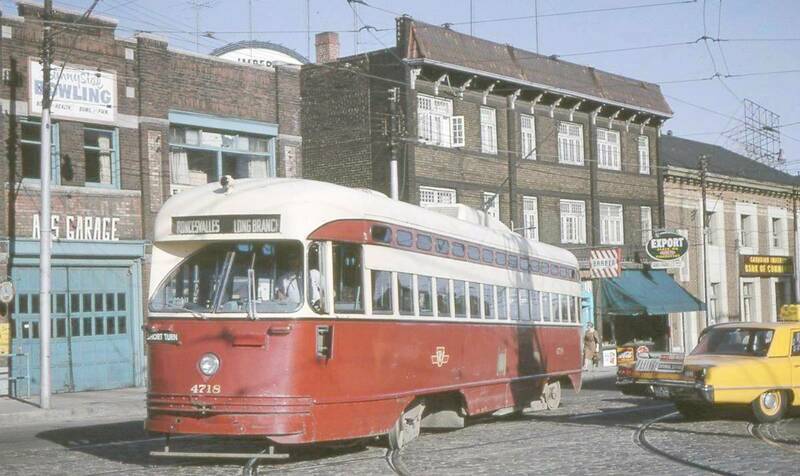 There were subsequent owners, the last of whom became aware of the space crisis at the House of Providence on Power Street and its problems in accommo-dating children. 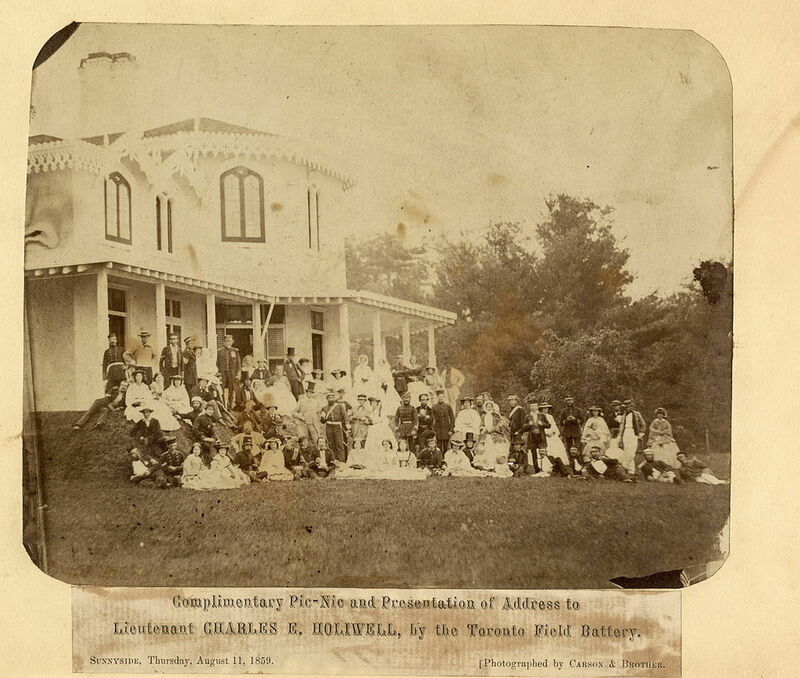 At first, Sunnyside was loaned to the Sisters of St. Joseph, who used it as a boys’ orphanage. 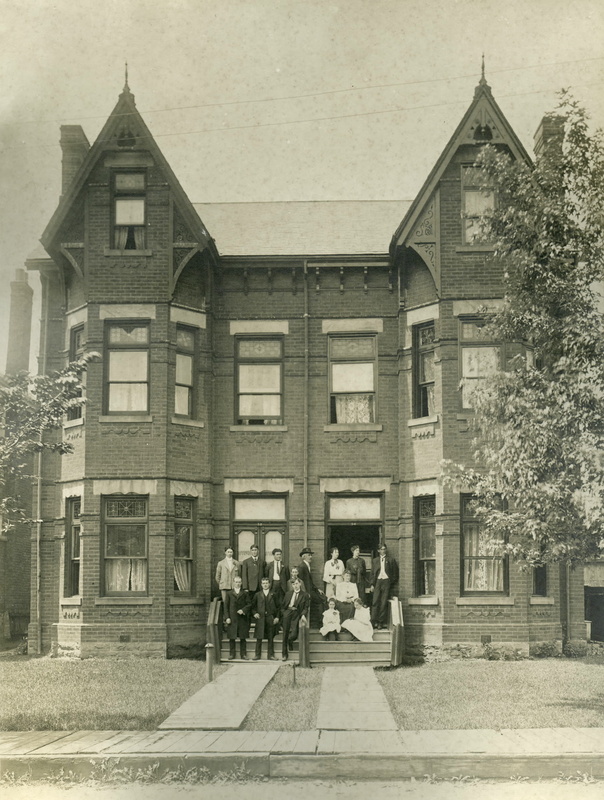 In 1881, the Roman Catholic Diocese purchased the property and the institution became Sacred Heart Children’s Orphanage, still run by the Sisters of St. Joseph, but accommodating both boys and girls. The original four-storey house had many additions, but the basic structure was octagonal in shape and Romanesque in style. 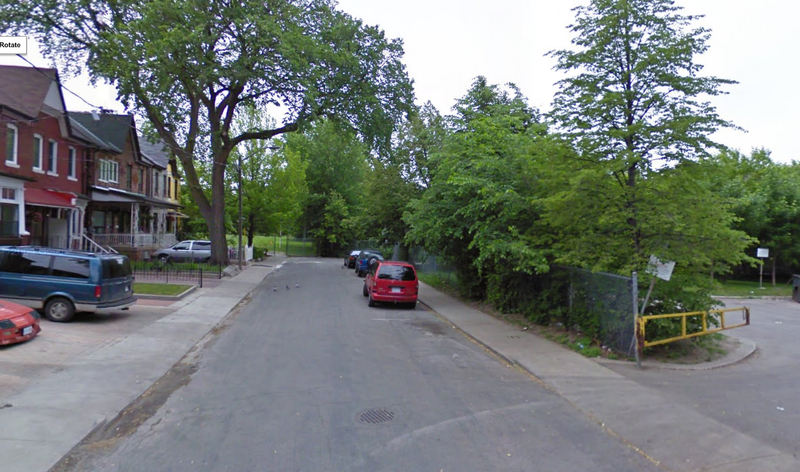 It soon disappeared as the work expanded. 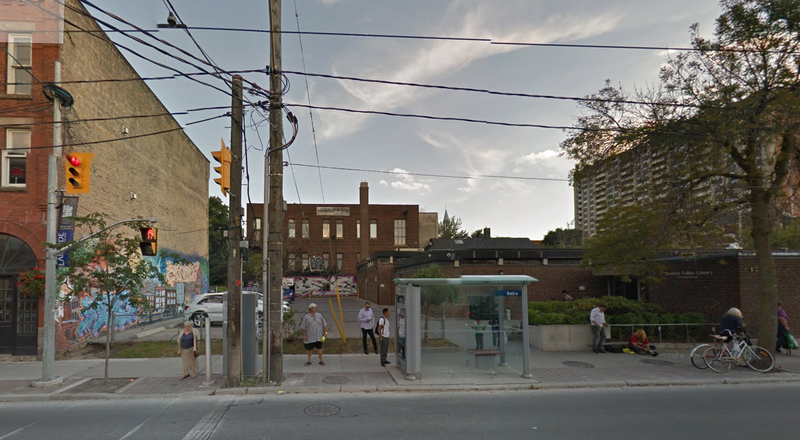 In typical fashion, the City of Toronto decided to expropriate the property for use as a school in the growing residential area. 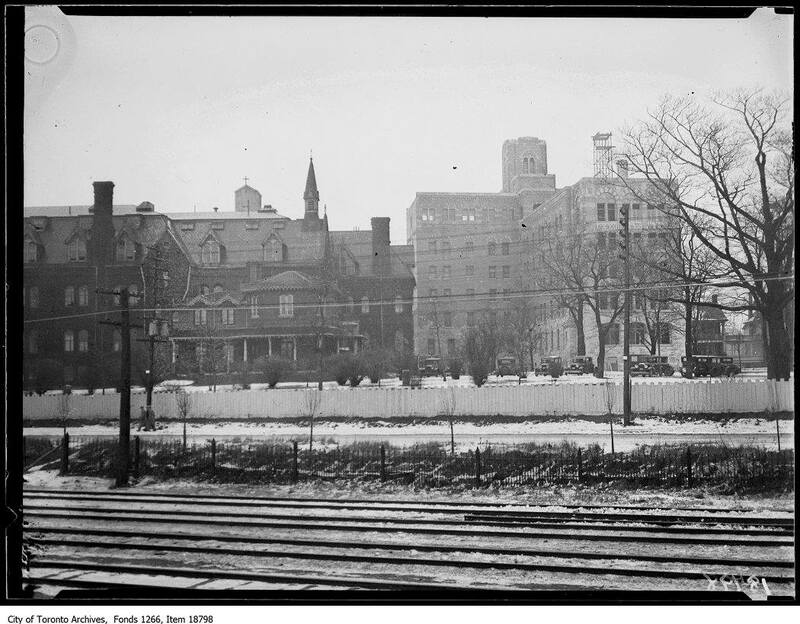 To prevent the expropriation, the Sisters of St. Joseph and the Diocese decided to convert the property into a hospital, which could not be expropriated. 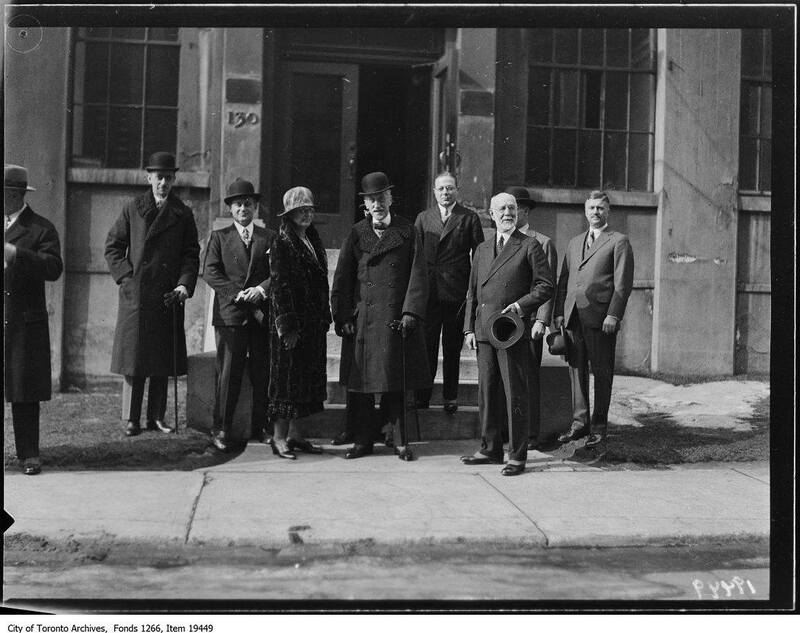 The hospital opened in 1921. 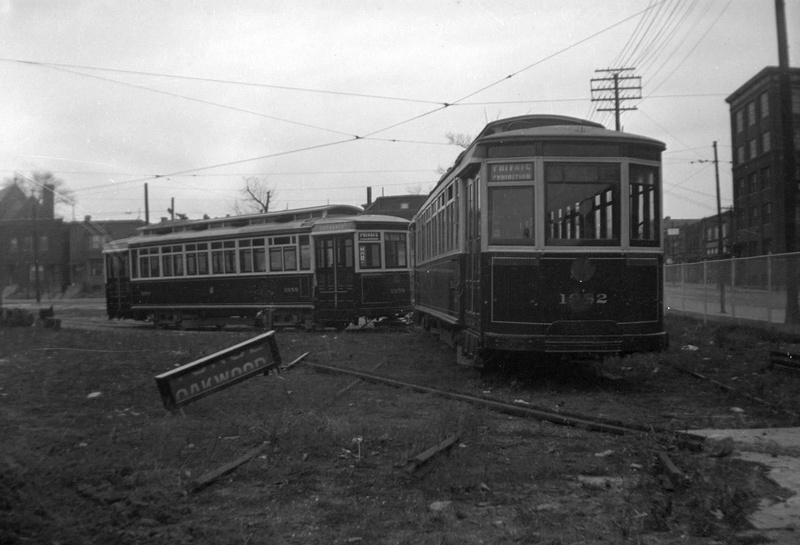 During successive expansions, Howard’s house was demolished in 1945. 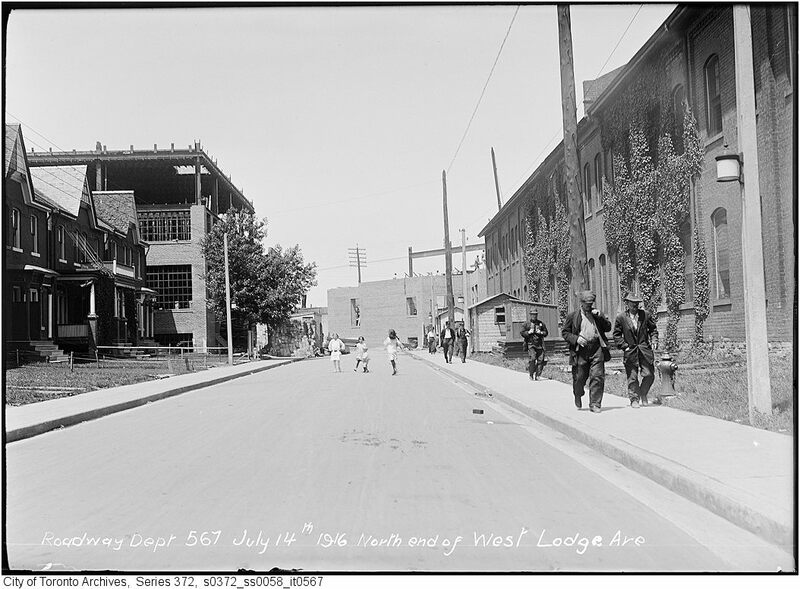 Looking north up West Lodge in the summer of 1946 towards the Gutta Percha Rubber Factory. 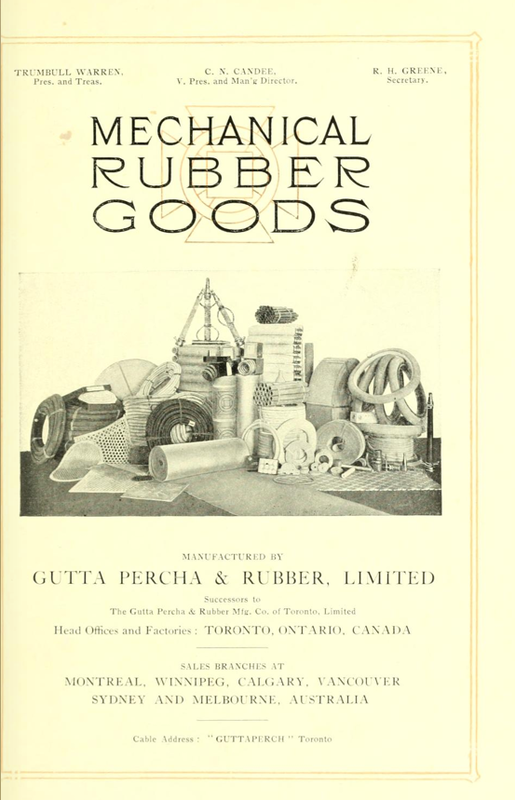 The largest industry in Parkdale was the Gutta Percha & Rubber Manufacturing Company, established in 1883 on West Lodge Avenue next to, and served by the CPR. 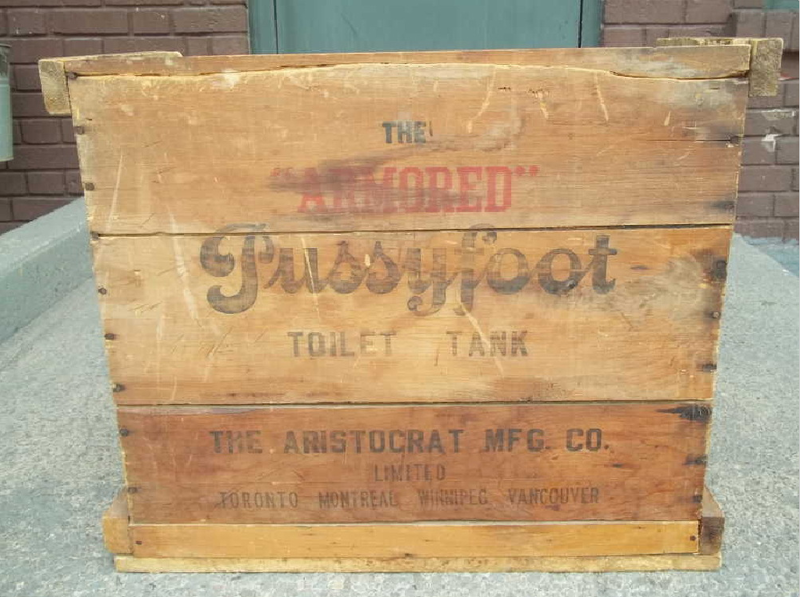 It made hose, belting, rubber boots and many other products and once was the largest all-Canadian rubber company. 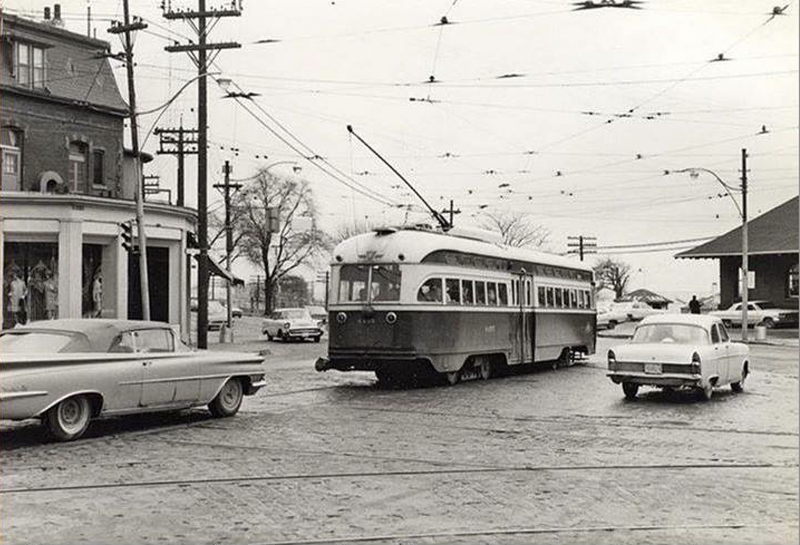 It was closed in 1960. 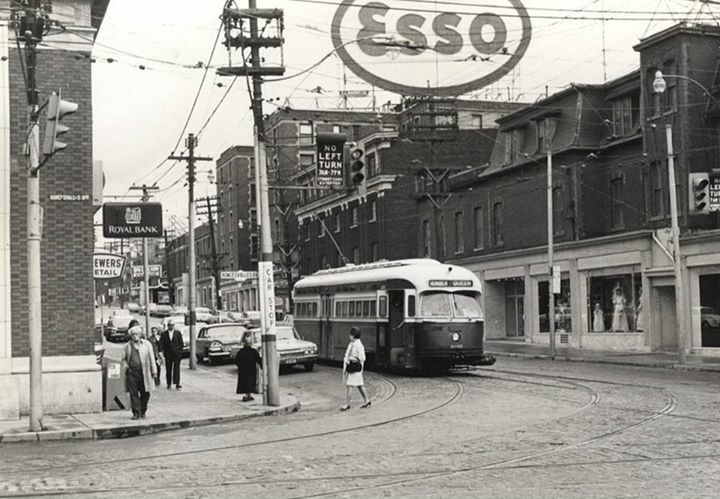 2010 and the factory/warehouses are long gone. 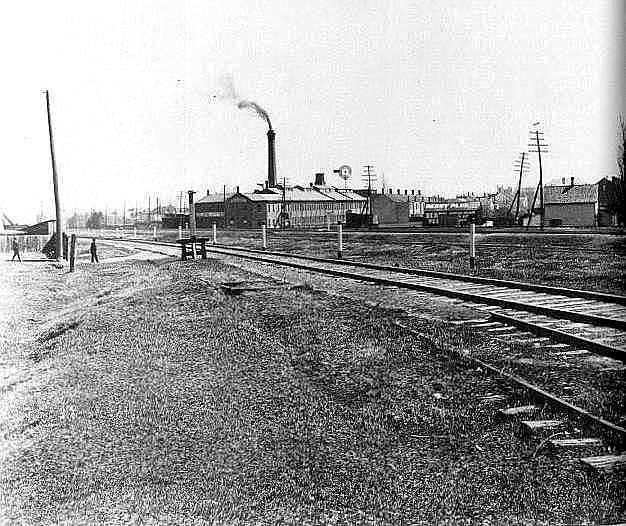 Another view of the Gutta Percha factory. 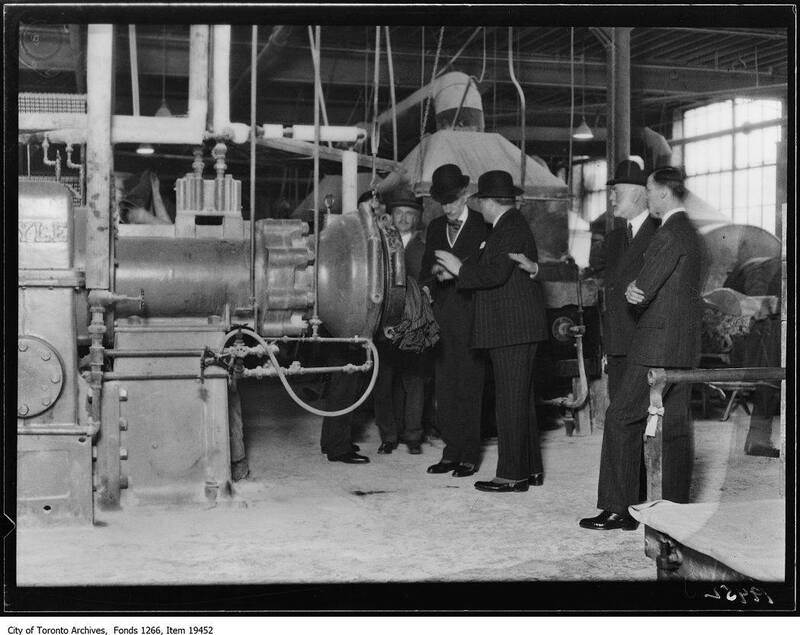 Inside the factory and the front entrance. 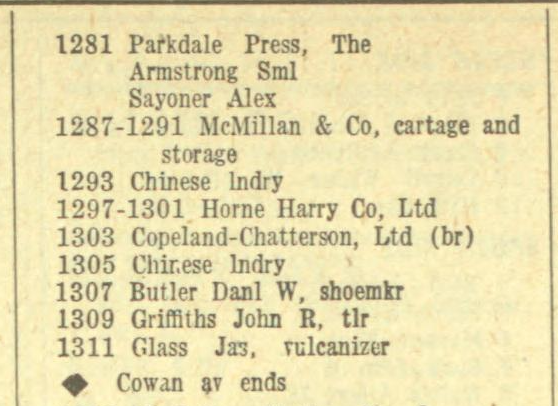 An online version of their catalogue from 1905 can be viewed here. 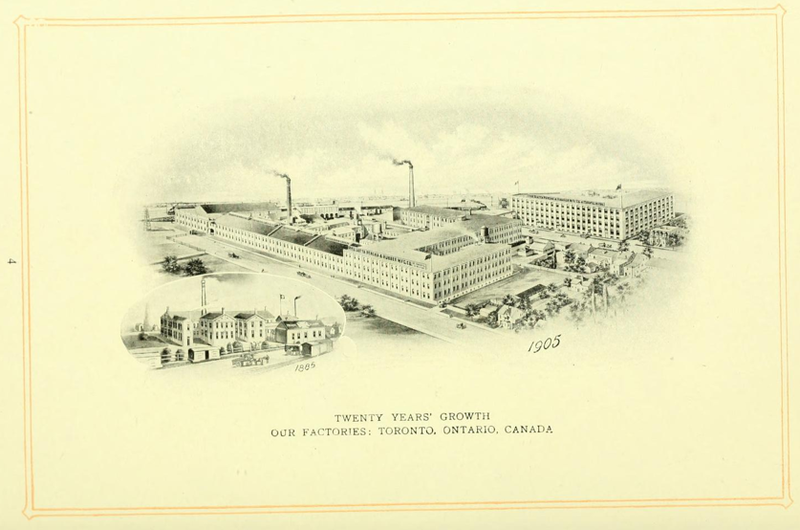 Companies back then would exaggerate the size of their factories. 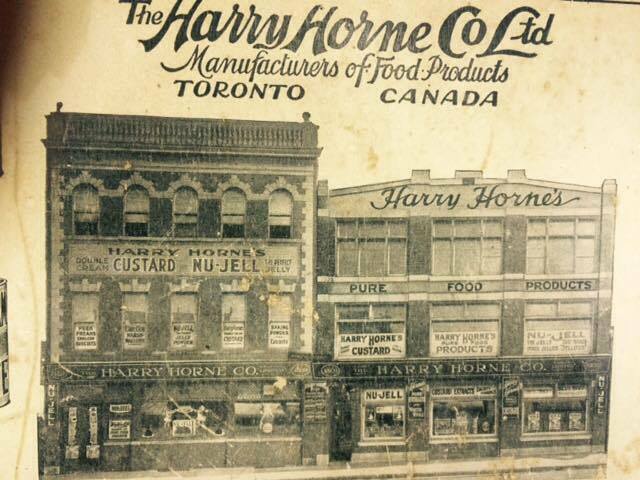 My grandfather worked here as an accountant in the early 1930’s. And now the fine print…..
Gutta–percha ( Palaquium gutta) is a fruit-bearing tree belonging to the Sapotaceae family that shares its genus with more than 100 other members. Found scattered throughout Southeast Asia, this tropical botanical received its name from the Malaysian word for getah perca, which loosely means “rubber.” This was a reasonable nomination since the sap of the tree yields a naturally occurring latex that had been put to use by native residents for hundreds of years before being “discovered” by the British in the mid-1800s. 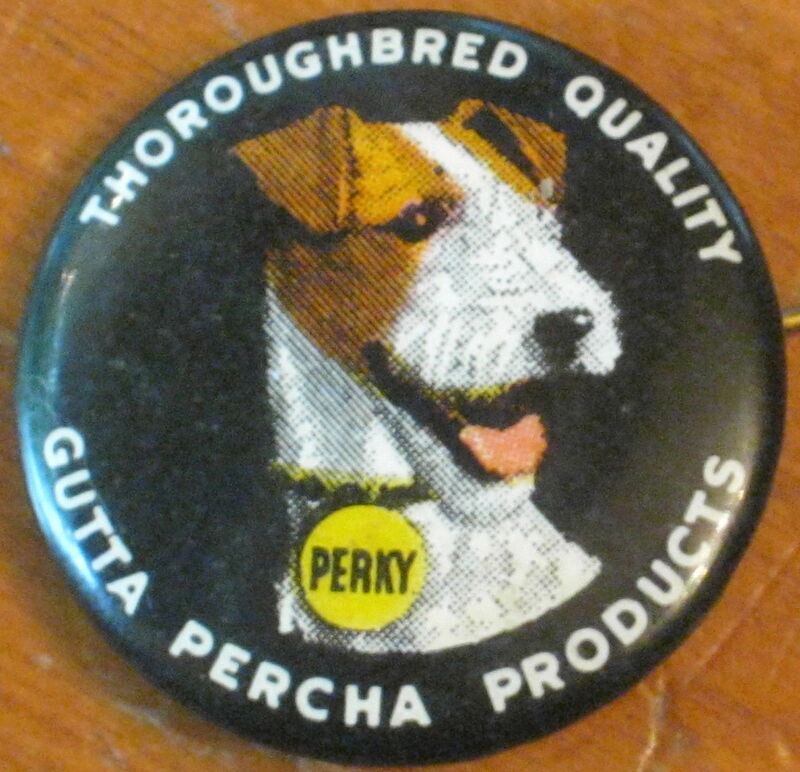 Since that time, however, gutta–percha has been part of an equally long and fascinating history. 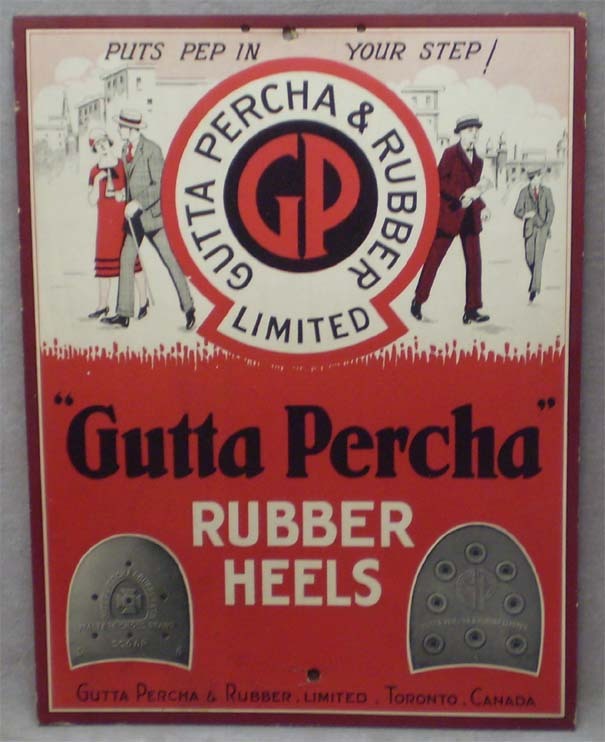 Initially, gutta–percha was an attractive alternative to the latex obtained from the rubber tree of the same region, otherwise known as unvulcanized rubber. This was due to the fact that the latter was prone to becoming brittle since it was susceptible to ozone cracking because of its double bonded molecular structure. 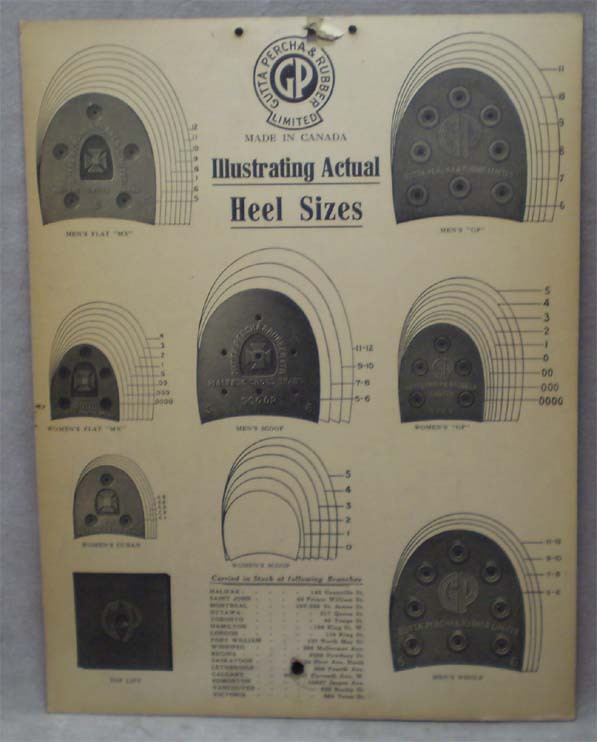 In contrast, gutta–percha exhibited thermoplastic properties, which meant that it was much more stable and could be reshaped when heated. 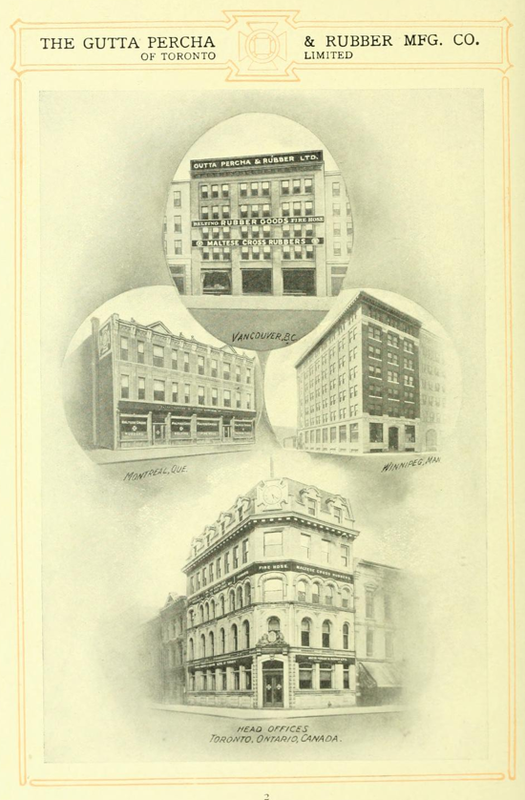 This property led to the development and improvement of numerous 19th century products, and even a few famous firsts. For example, gutta–percha resin replaced the rubber used to insulate telegraph cables, including those that draped the floor of the Atlantic Ocean to enable the infamous transatlantic telegraph communication between Queen Victoria and U.S. President James Buchanan. The same material was used to produce daguerreotype and tintype cases and to make jewelry, such as decorative hairpieces and combs. Of particular note was the use of gutta–percha to embed the hair of a lost loved one into pearl, enamel, and other materials to create “mourning” jewelry to honor their memory. 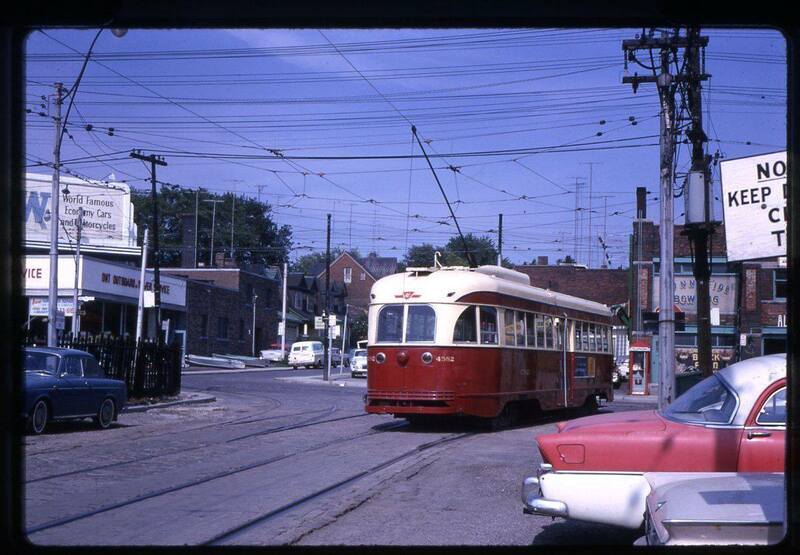 Some of these pieces have survived and are of considerable value today. 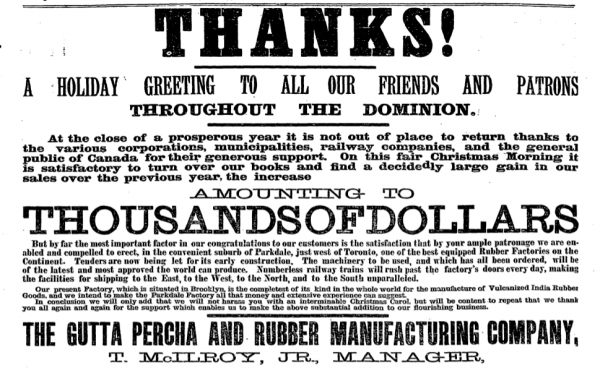 Even the furniture industry of the 19th century took notice of the exceptional properties of this material. In fact, The Gutta–Percha Company quickly seized the opportunity to make chess sets, figurines, and tea trays from the substance of the same name. However, they also began producing molded mirror frames, sideboards, chairs, and sofas that rivaled the elaborate detail found in pieces hand carved from wood. 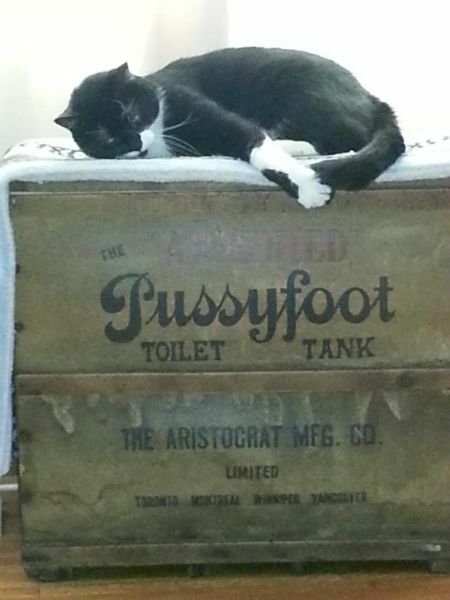 This was a far leap from the traditional furniture-making standards of the time. 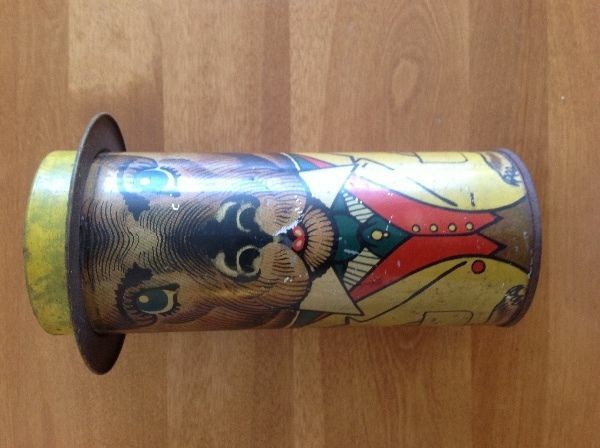 Many of these trinkets and furnishings of the past live on in museums or in private collections. However, examples of gutta–percha handiwork can also be found by looking in the mirror and saying “aah”—that is, for those who have endured a root canal. That’s because the stuff is mixed with other resins and zinc oxide and used to fill up the void left in the tooth after it’s been drilled out. This practice, which also began shortly after Britain introduced gutta–percha to the world, continues today. In fact, Brazilian gutta–percha farmers harvest the resin for this purpose, which earns approximately $30,000,000 US dollars from the U.S. each year. 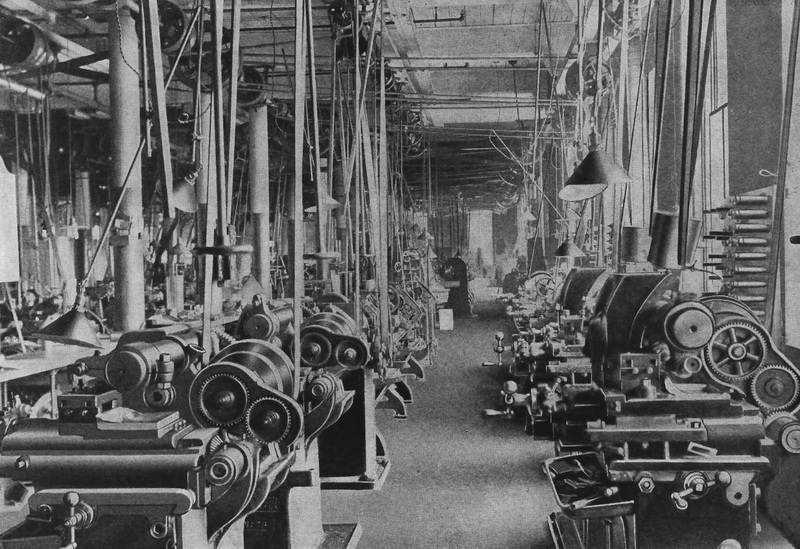 A typical factory from the early 1900’s with belt driven machinery. 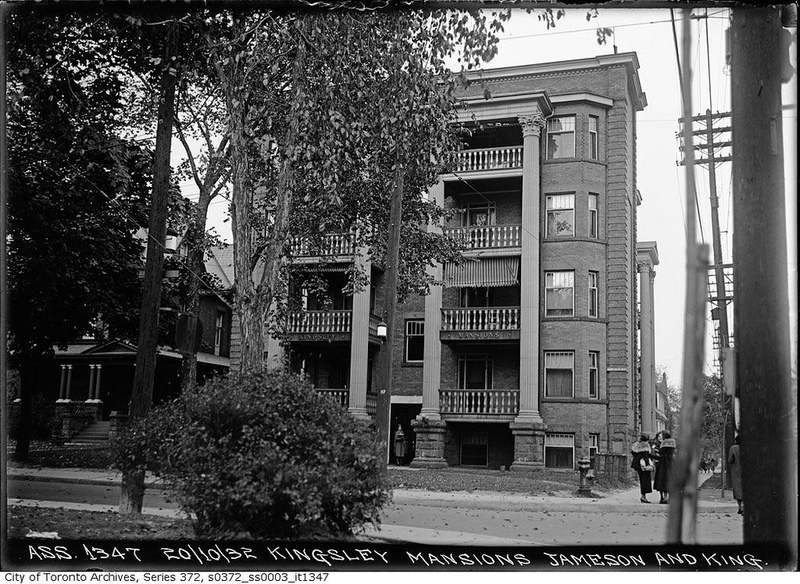 Can you include 149 Jameson Ave, formerly Kingsley Mansions at King at Jameson, north east corner. 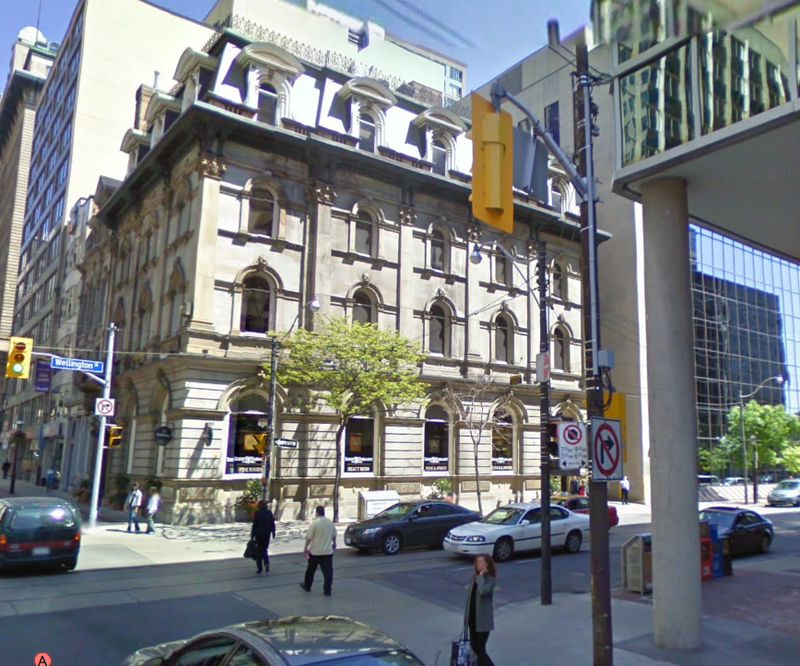 The original building – a hotel with indoor pool was renovated in 1995 by the Ontario Government to include 50 affordable compact 1 bedroom suites. Original building is intact and 2 staircases also survived. 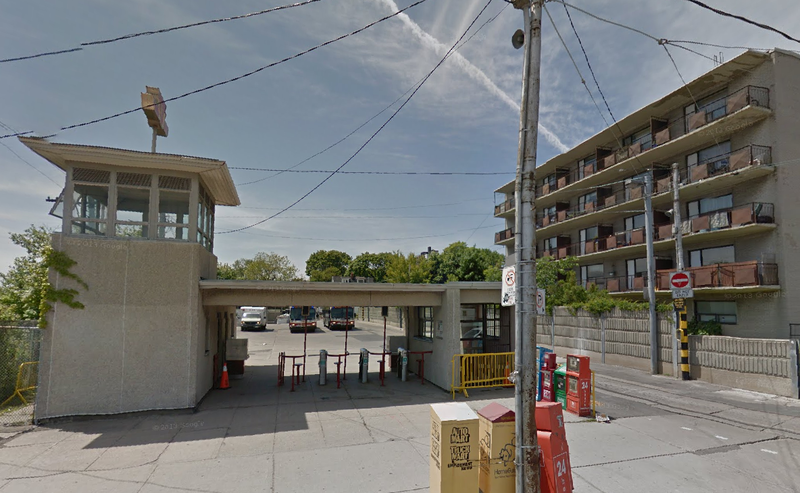 In the basement where the indoor pool was located is now community spaces and offices. The building and suites are well maintained. 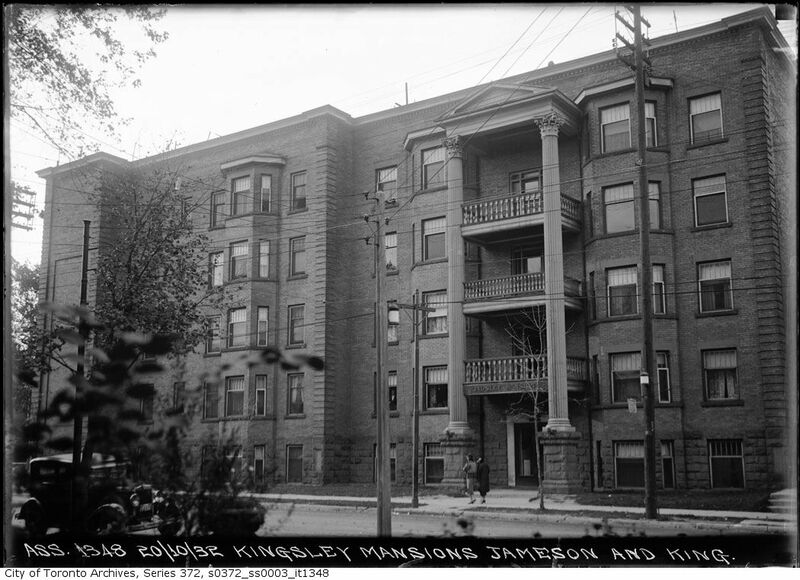 Built in 1912, Kingsley Mansions is an early example of a purpose built apartment building in Toronto. 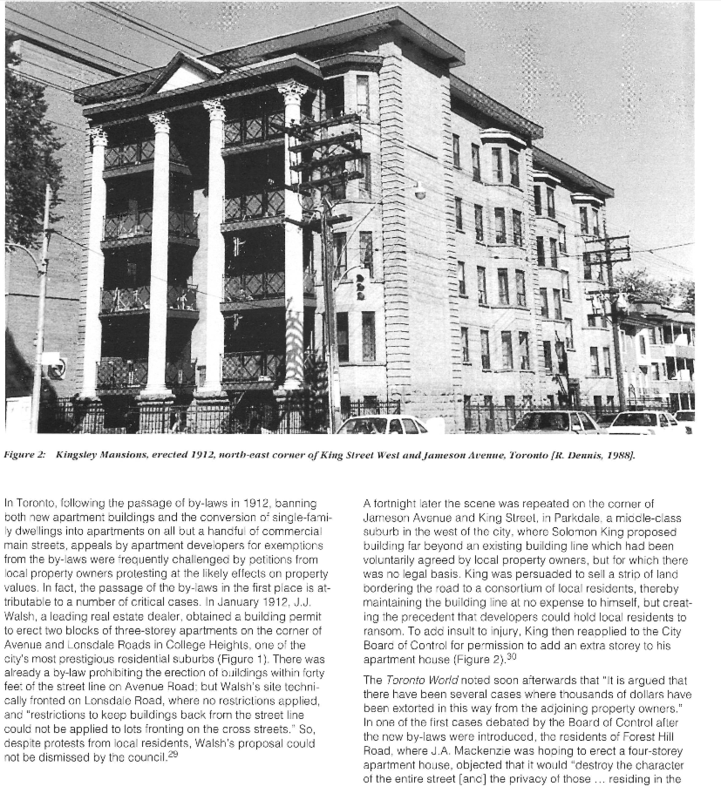 Apartment living at the time was actually considered quite refined and glamourous and offered as a viable alternative to home ownership. 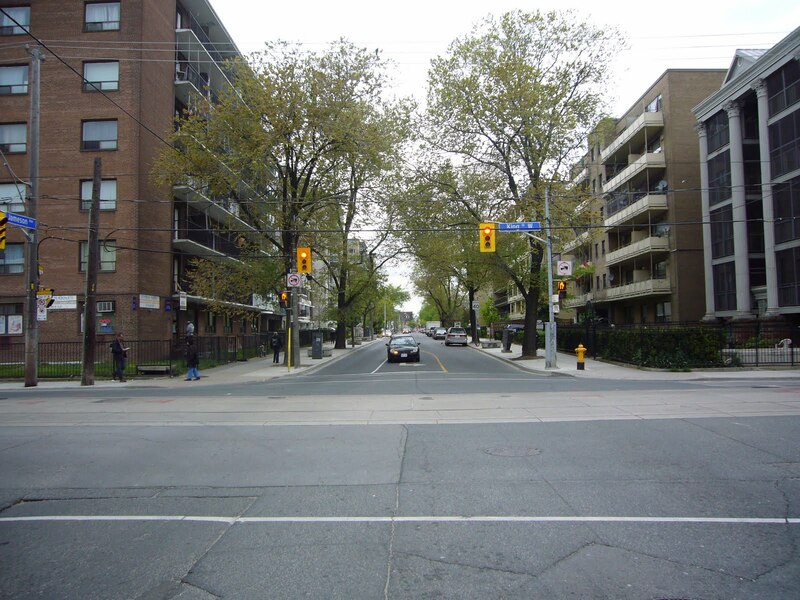 Apartments were spacious, well maintained with all of the latest appliances and often included servants quarters either adjacent to the kitchen or a communal residence in the basement or on the top floor. 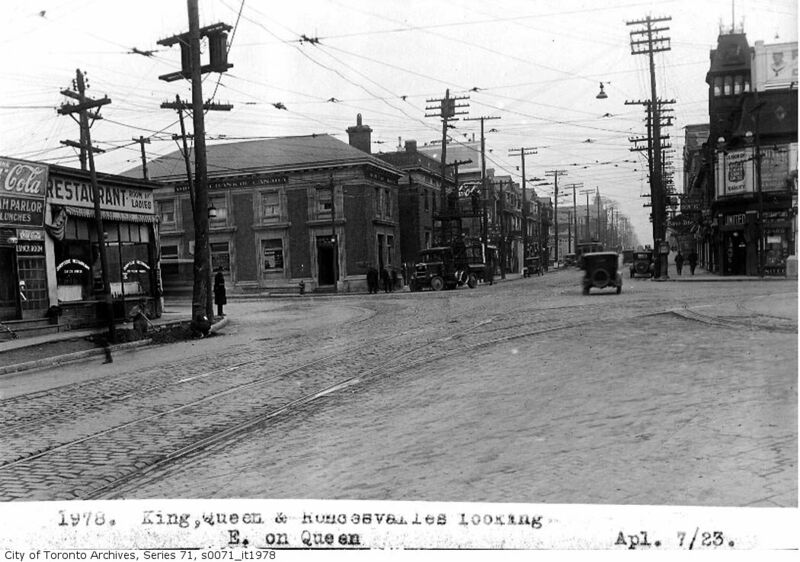 This photo from from the 1930’s of Jameson looking north from King manages to exclude the building. 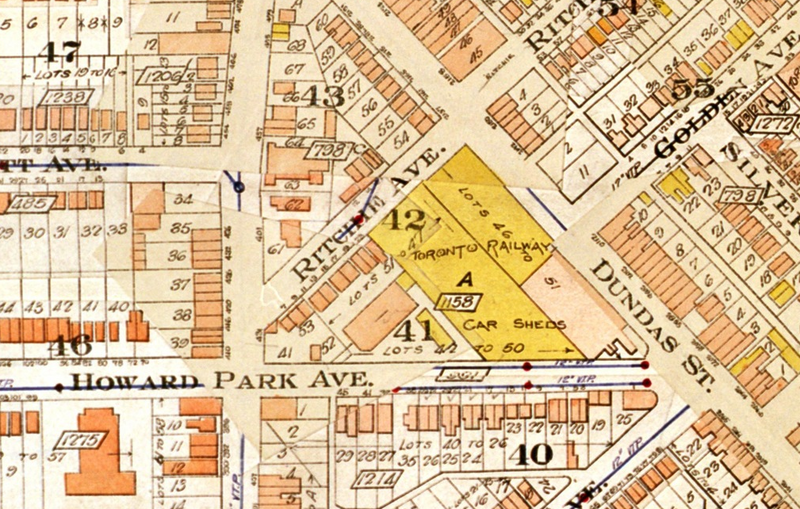 This map from 1910 shows a wooden house on the corner (yellow). 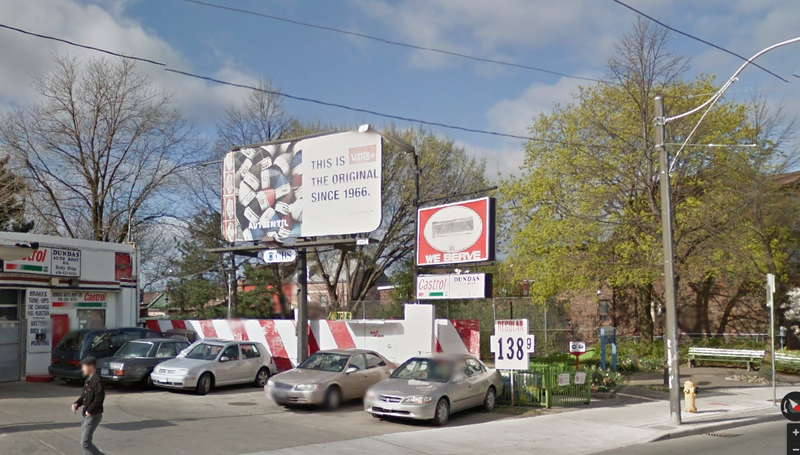 Buy 1912, the apartment has taken it’s place. 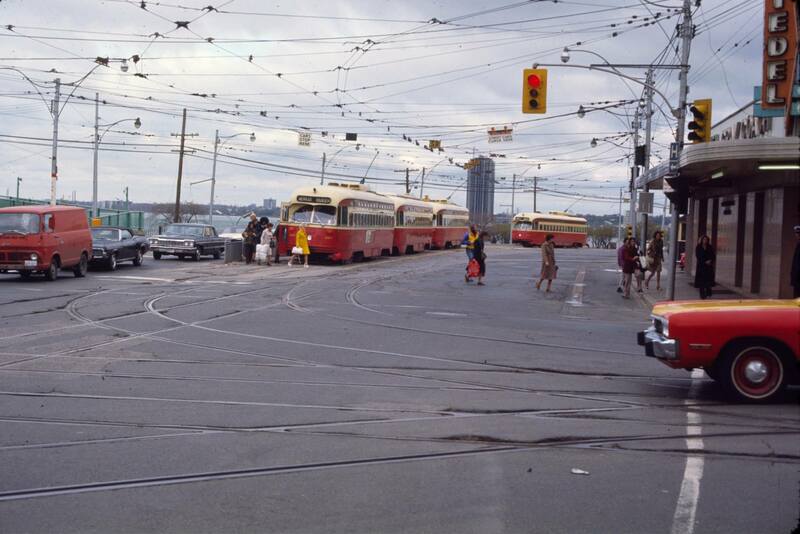 Looking south towards King 1976 and 2012. 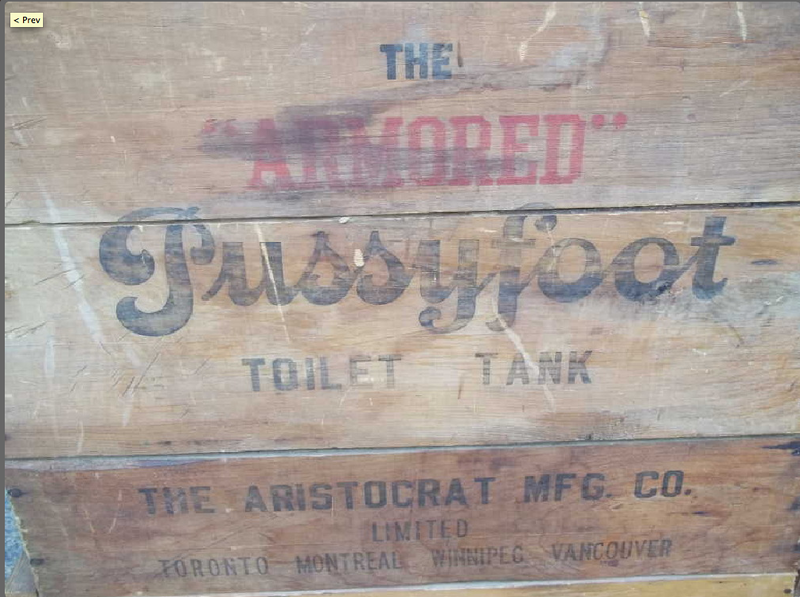 Note the billboard for Pussyfoot Toilet Tanks. Love this blog. 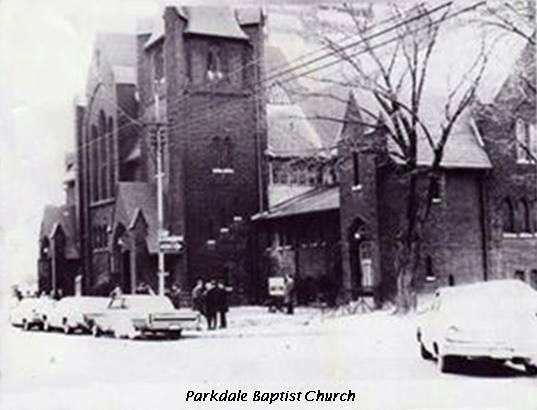 Do you know anything about the Parkdale Baptist Church (AKA Western Baptist ) that stood at Queen and Callendar from 1911-1985? 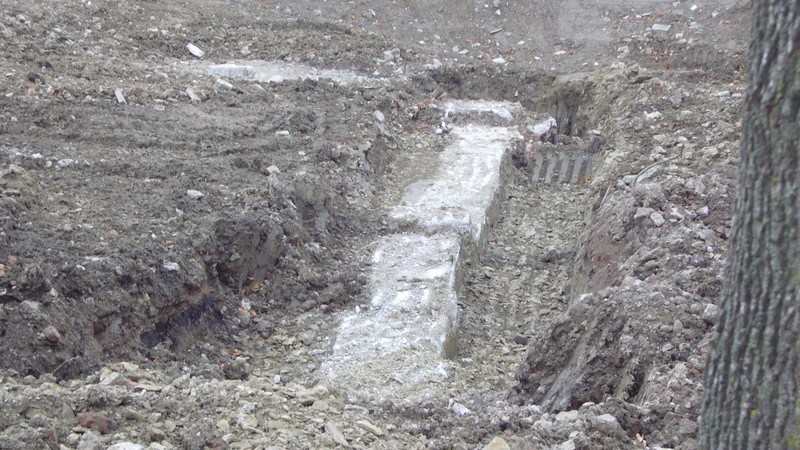 they just demolished the strip mall on the site and you can clearly see a wall section from the old church in the excavation. 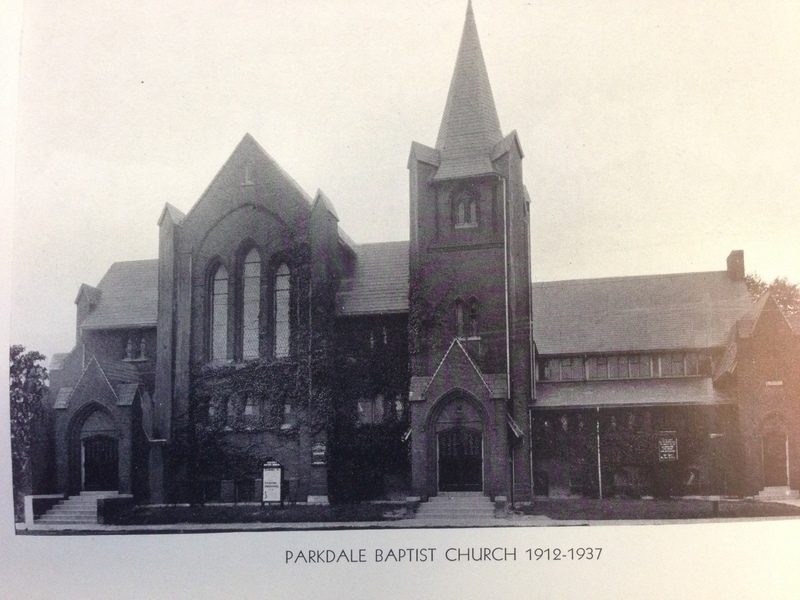 Ever come across a photo of the church? 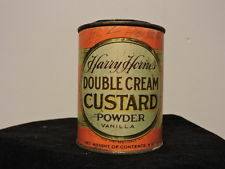 I can’t find one on the internet and I would love to know what it looked like. I’ve looked for some information but nothing has turned up yet except these three photos that show the Church and spire in the distance. 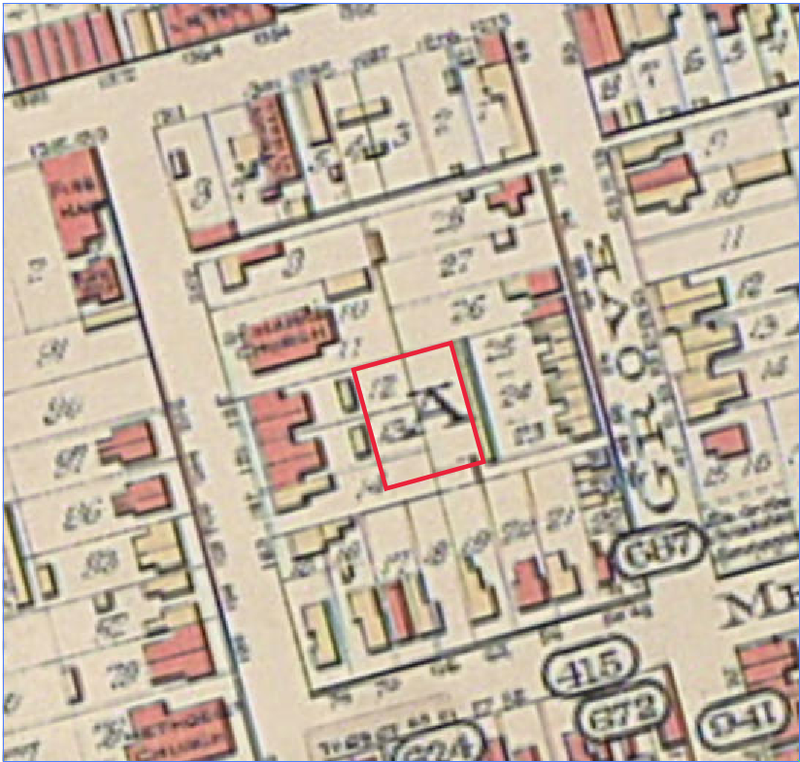 The Church, seen here on a Goad’s Fire Insurance map from 1924. 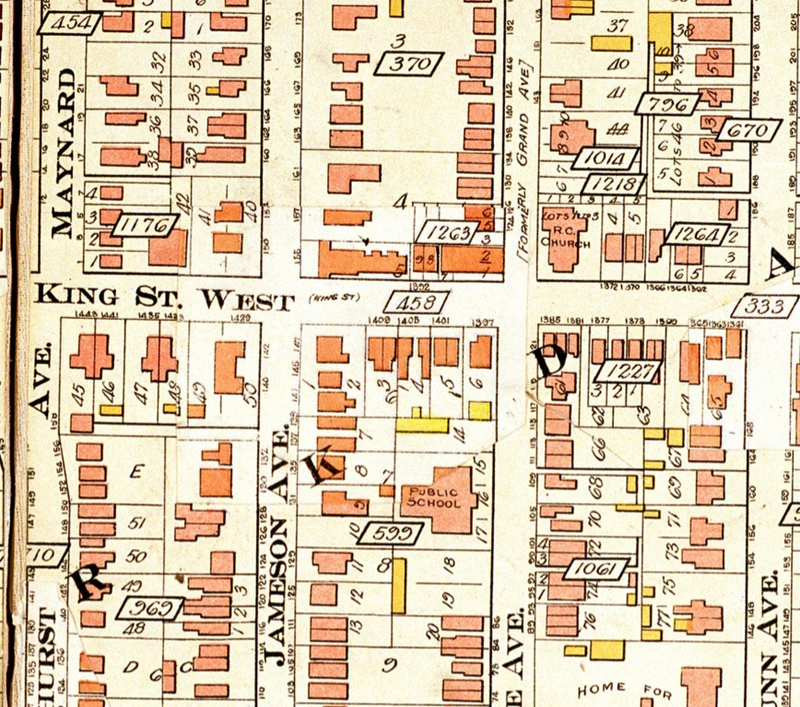 On these maps, brick buildings are in red, wooden in yellow and blue are made of stone. 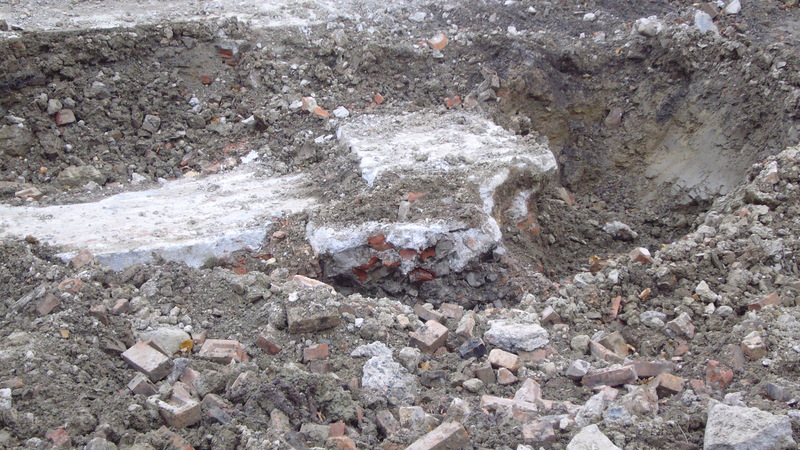 The small plaza that was built on the site was recently demolished. 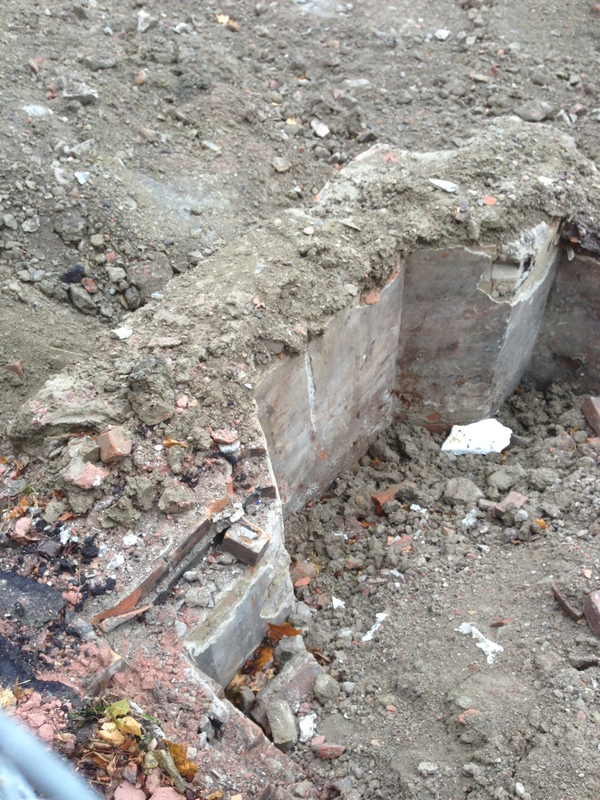 The excavation does reveal what appears to be the foundations of the old Church. 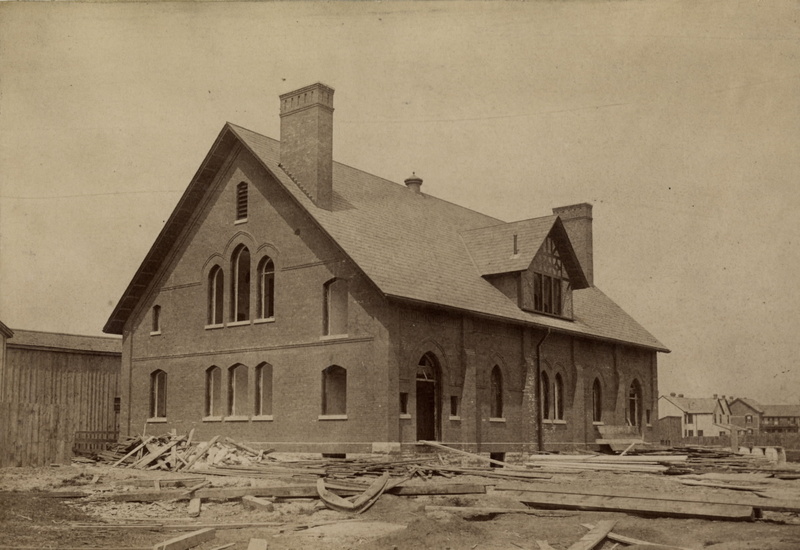 This photo from the archives is listed as Western Baptist Church, west side of Landsdowne north of Queen 1886. 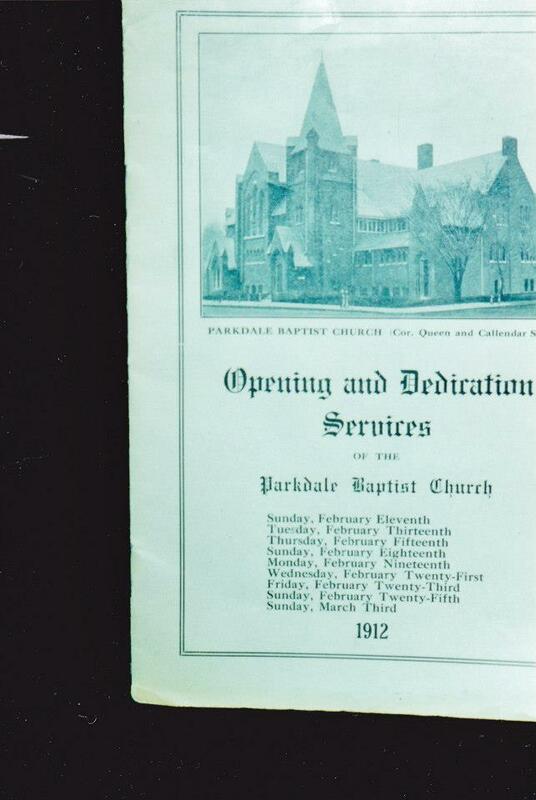 I see no record of this Church on the maps, However, the Church in question was not built until 1911…. John Silva has been kind enough to send me some photos of the Church in question. This was a substantial Church! 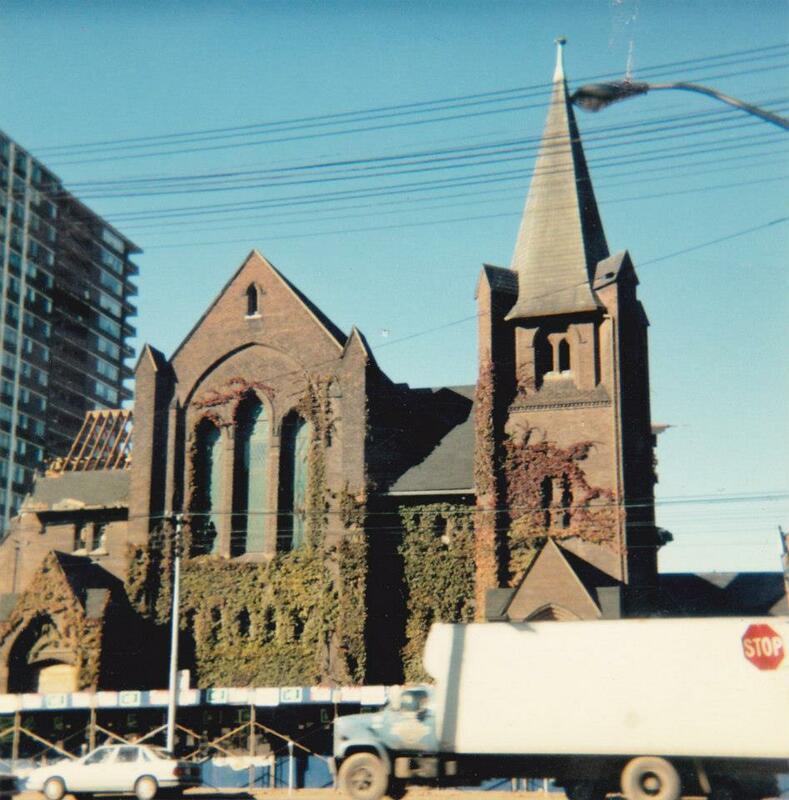 This last photo shows the Church being demolished in 1985…. 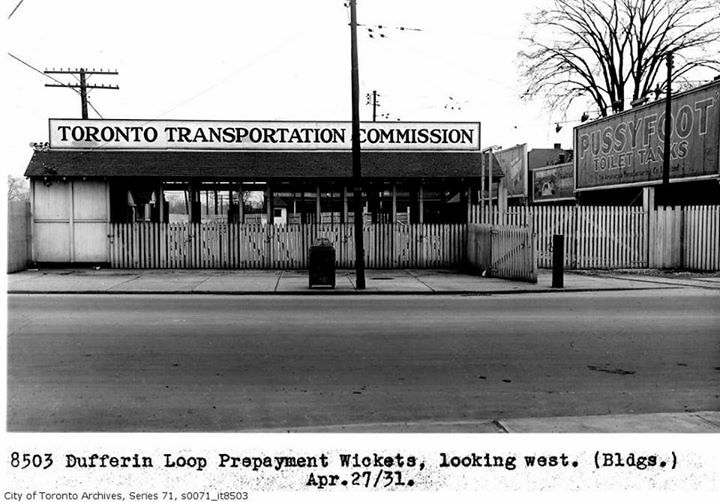 The S/W corner circa 1939. 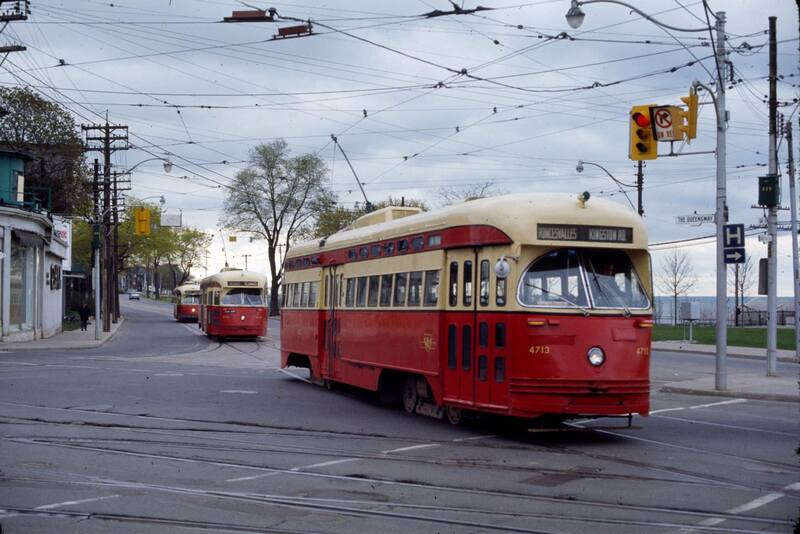 Old TTC streetcars waiting to be scrapped. 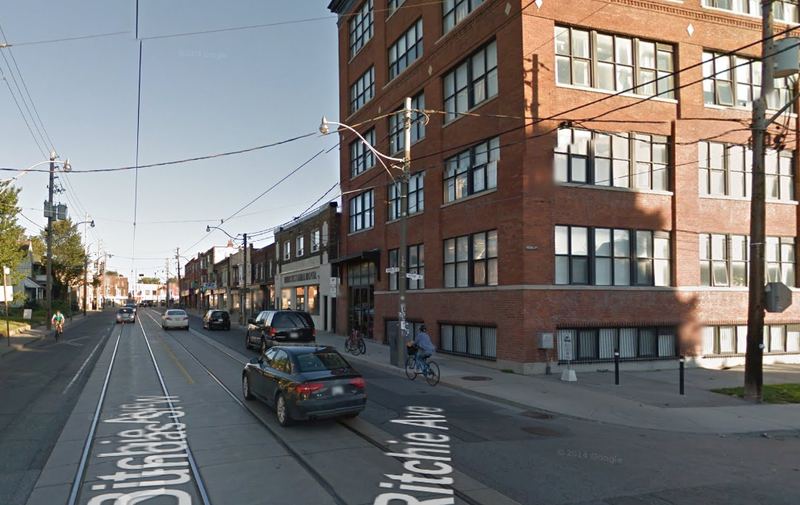 The Feather Factory Lofts are seen in the B/G. 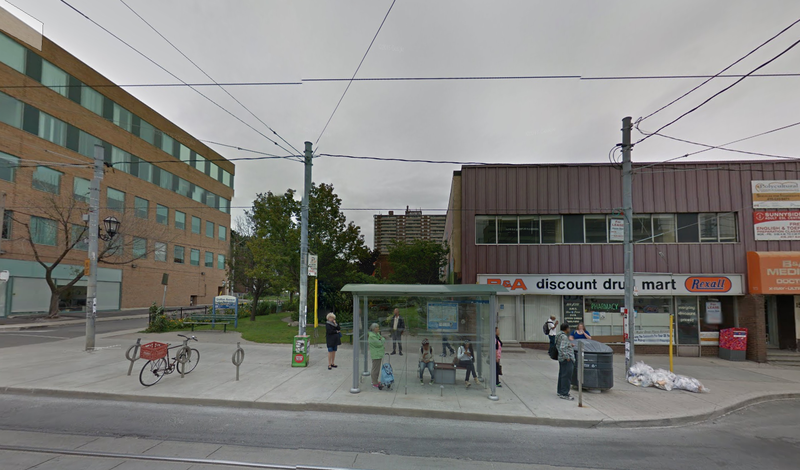 The map below shows the TTC yard in yellow. 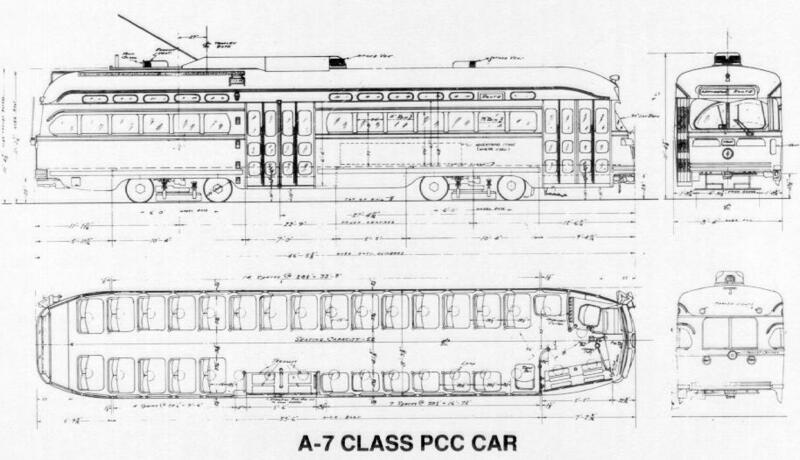 The old Peter Witt Streetcars were at this point being retired and replaced by the new PCC cars. 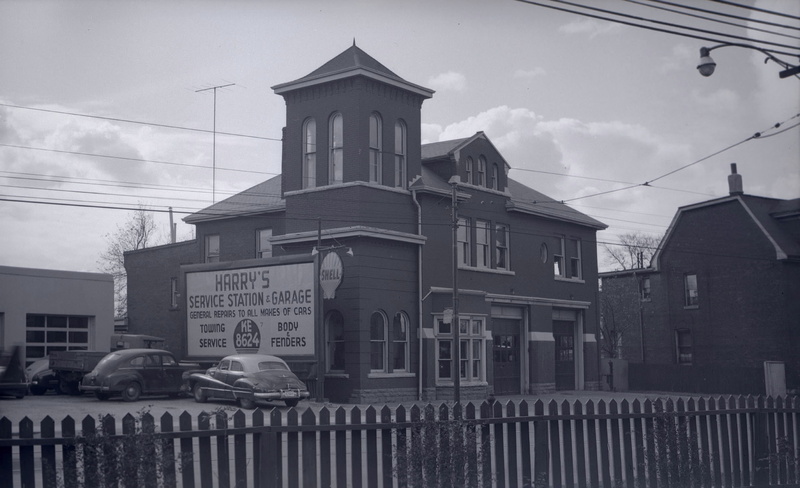 The old Fire Hall on the south side of Dundas just east of Lansdowne, 1952. 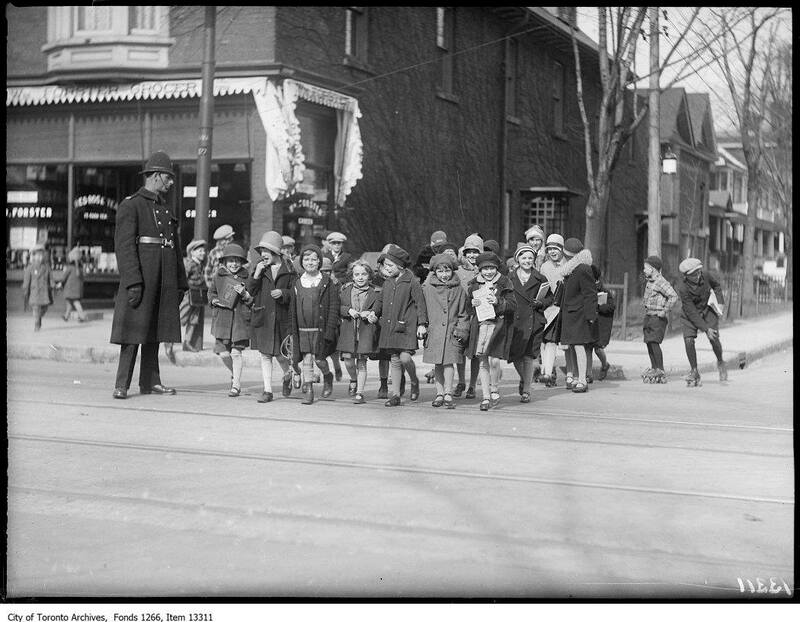 A Policeman escorts some students across Roncesvalles at fern circa 1928. 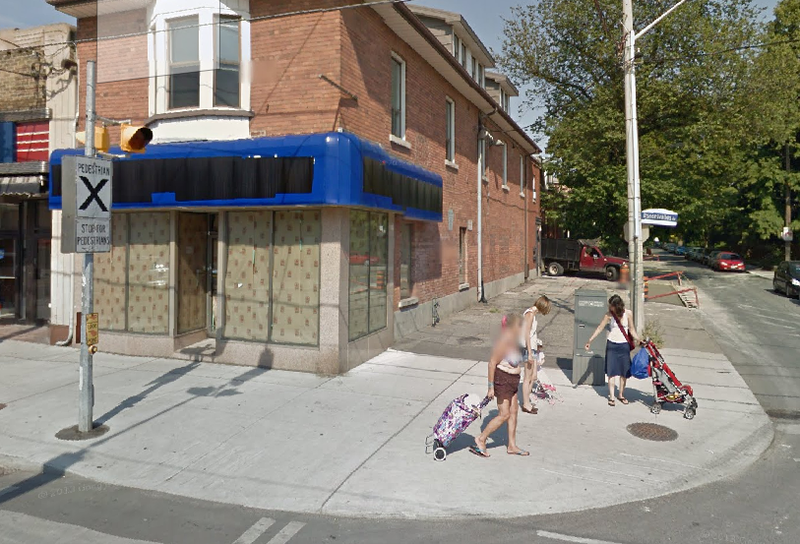 Photograph also shows the store front of William Forster, Grocer at 177 Roncesvalles Avenue. 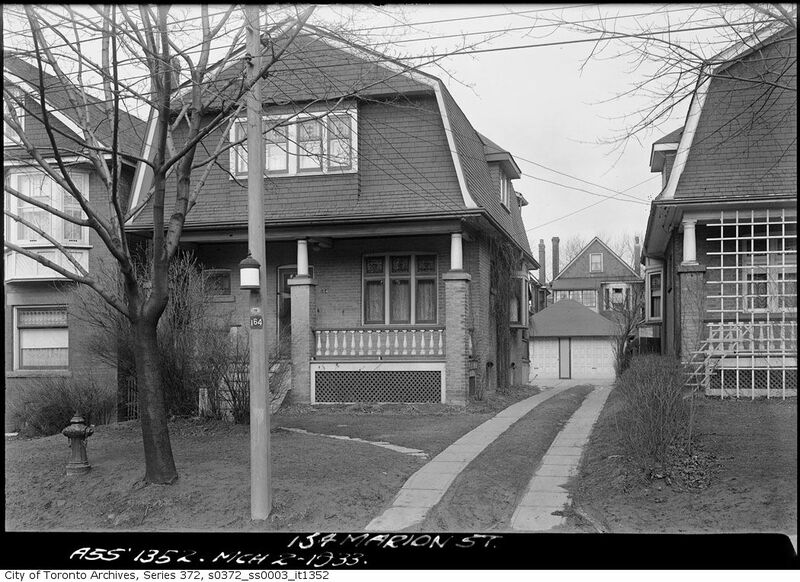 William Forster lived in the attached residence at 190 Fern Avenue. 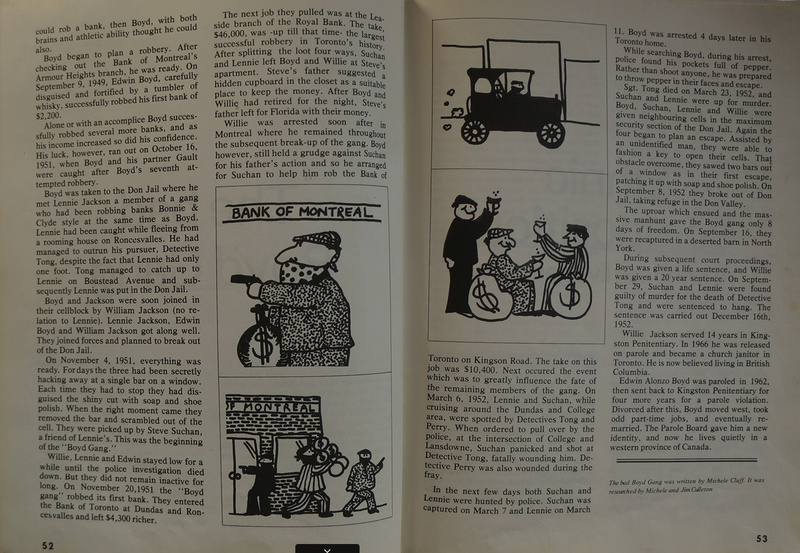 A couple of pages from the Parkdale Centennial Book courtesy of The Parkdale Village Historical Society.